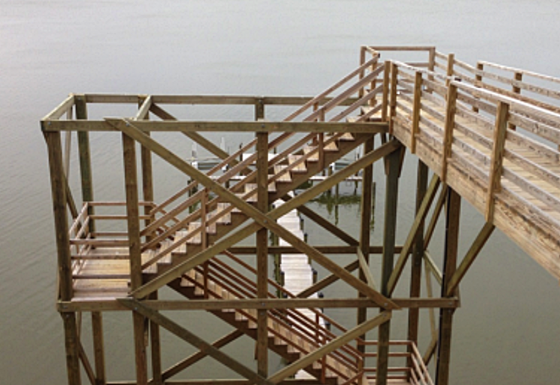 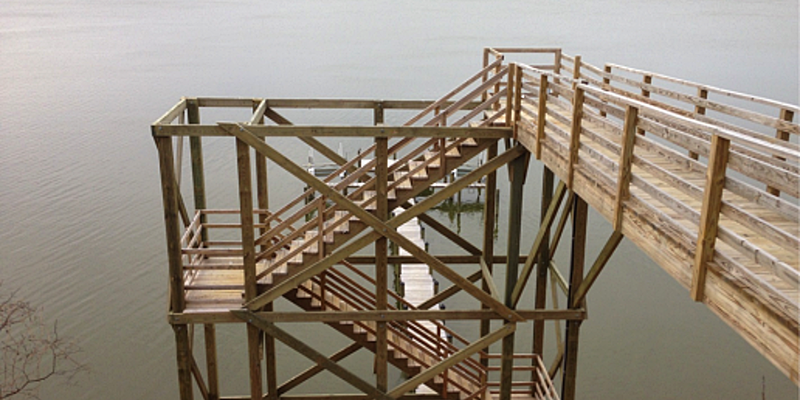 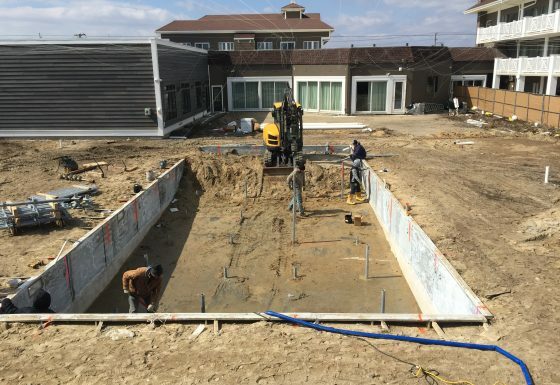 A homeowner was adding a pool to the back yard of their vacation home. 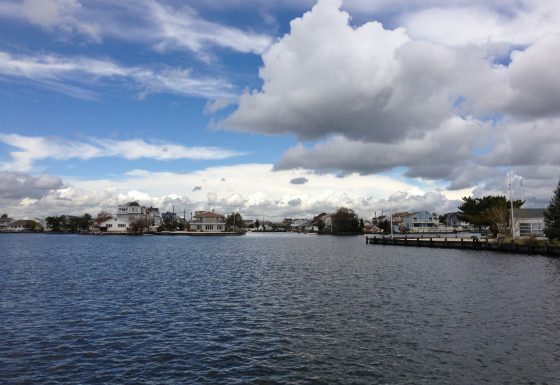 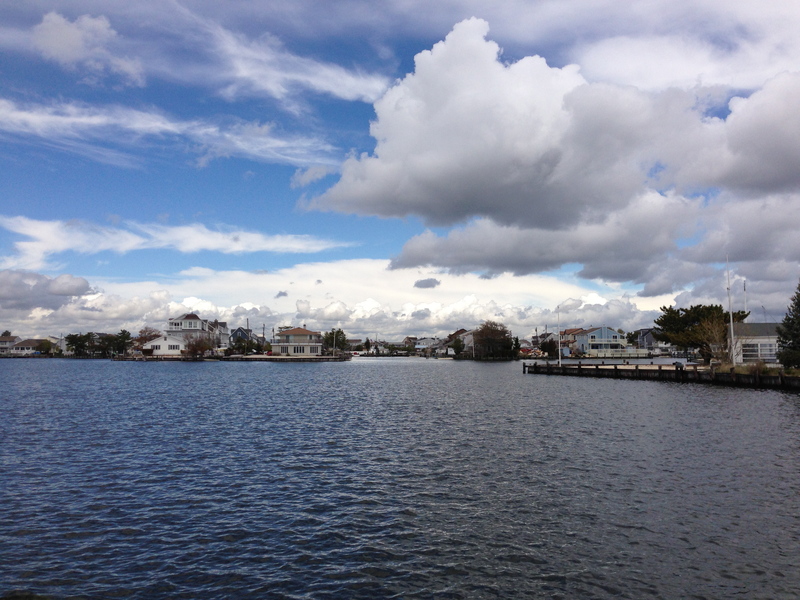 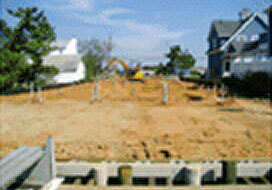 The home was on the back bay in Cape May, New Jersey. 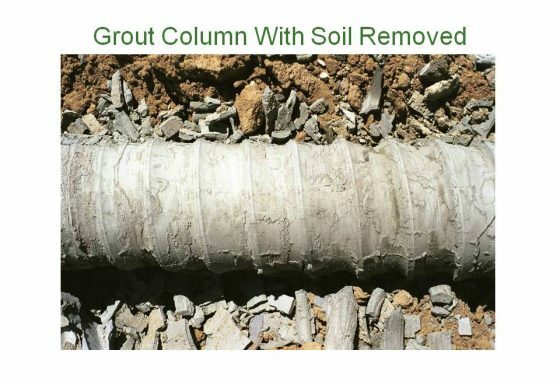 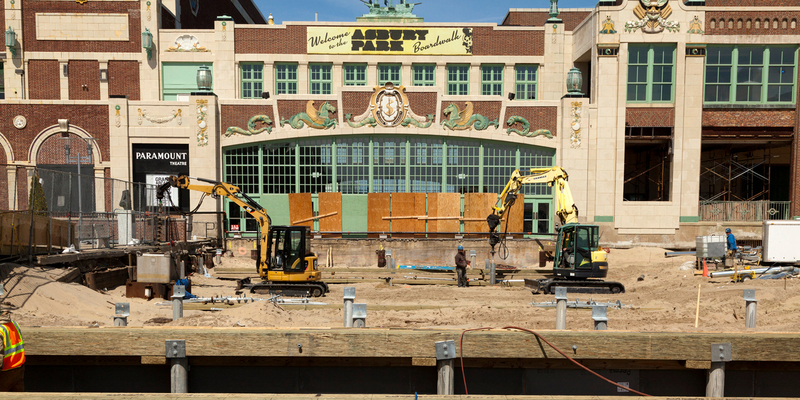 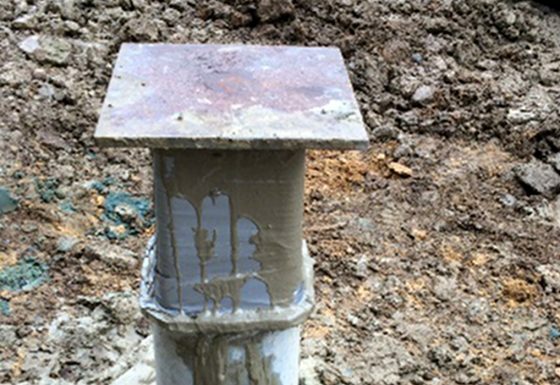 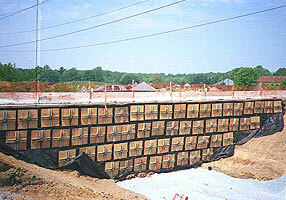 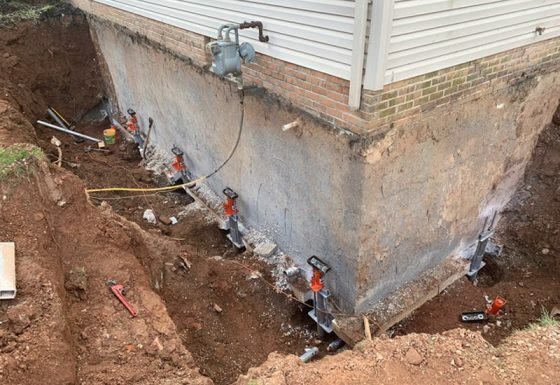 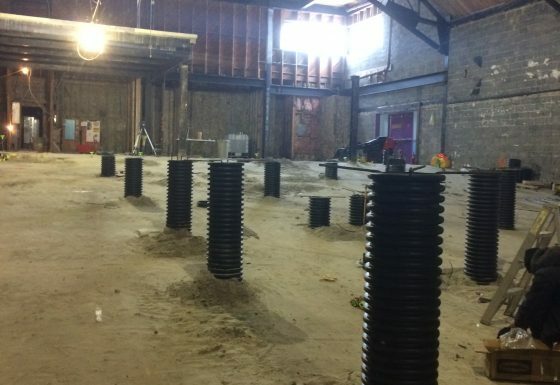 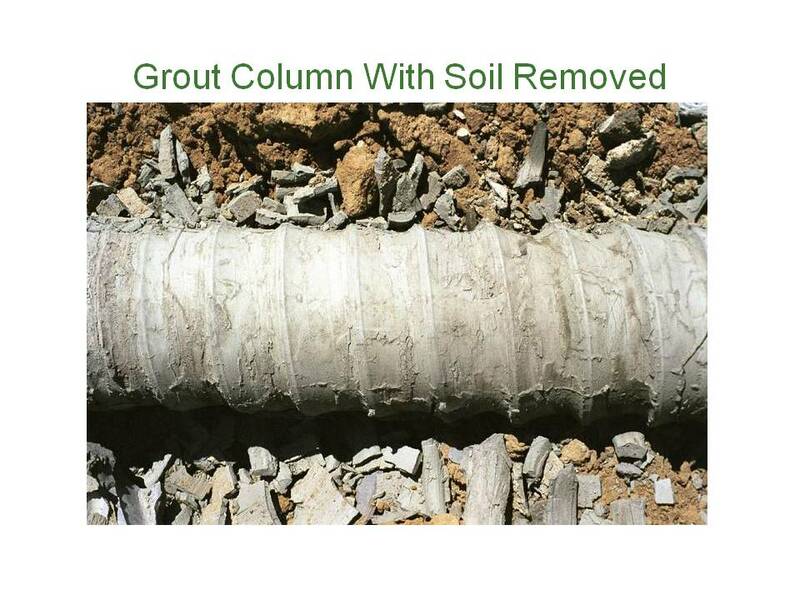 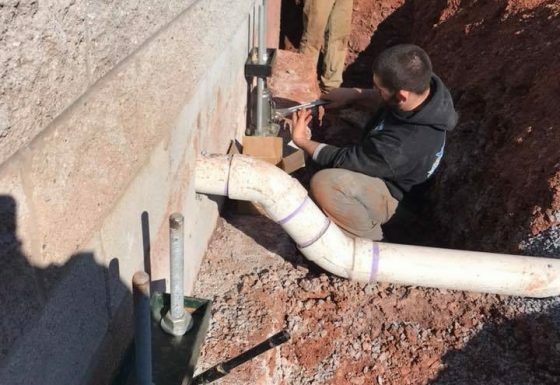 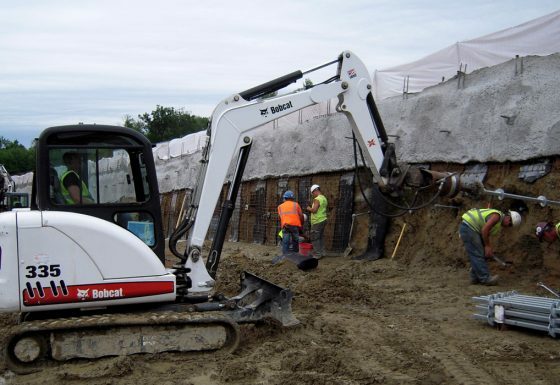 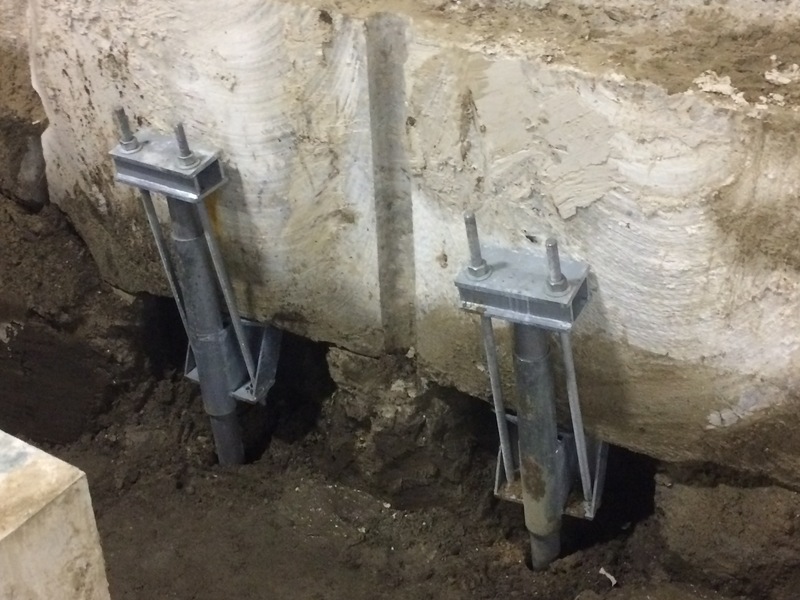 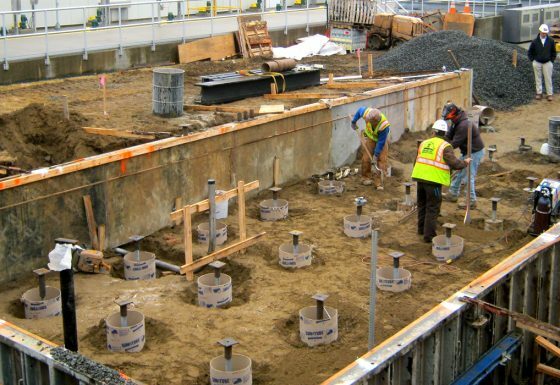 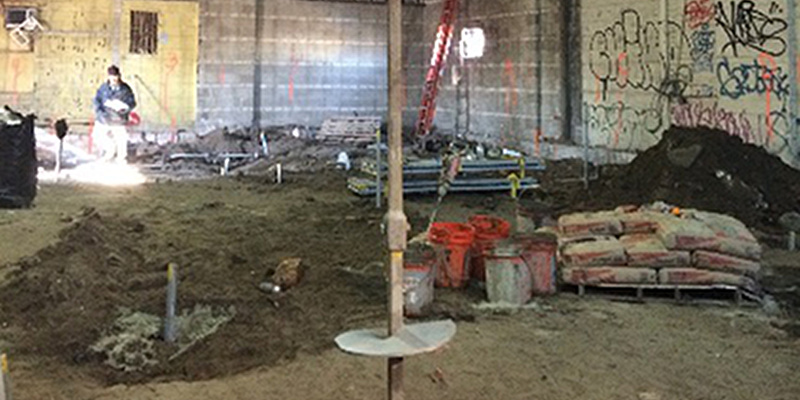 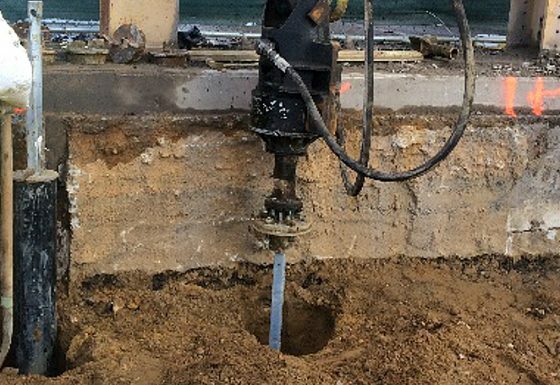 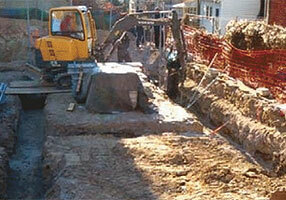 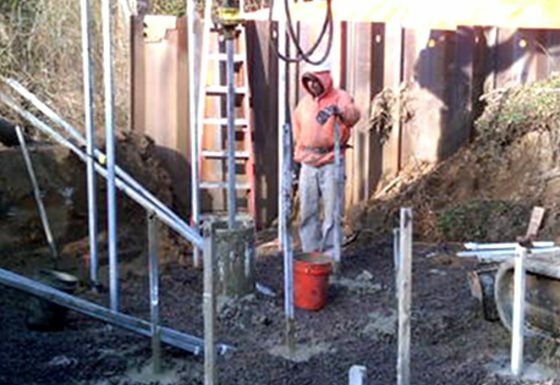 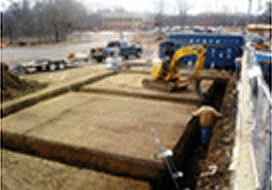 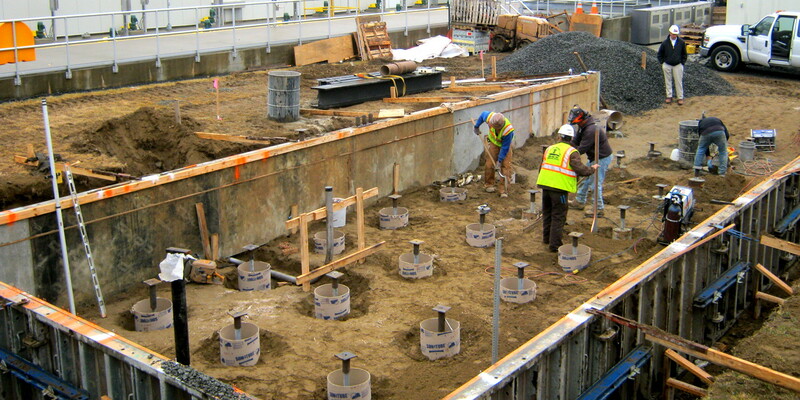 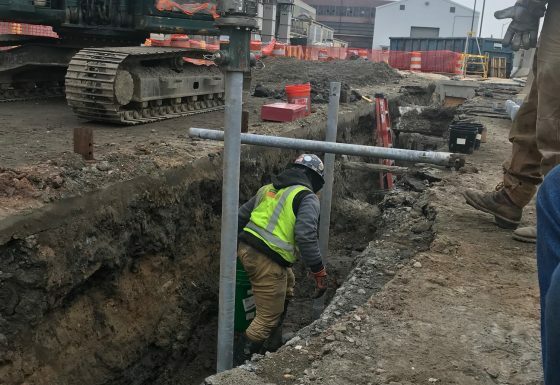 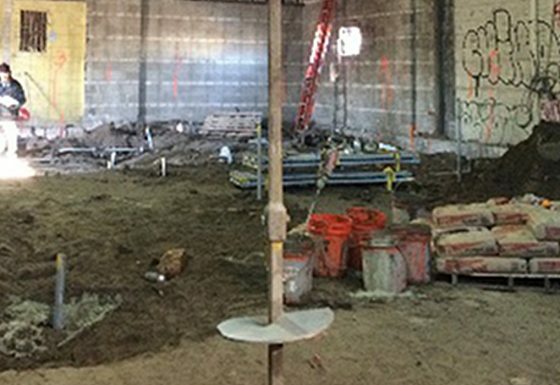 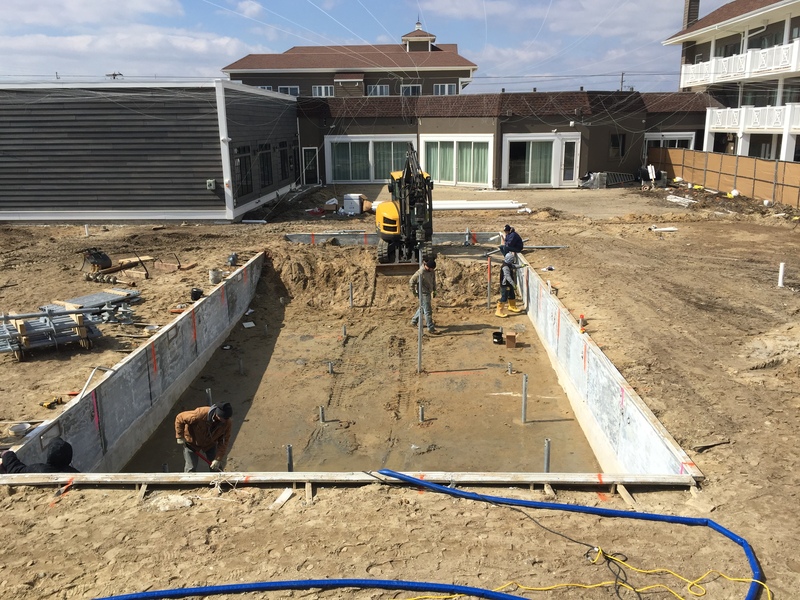 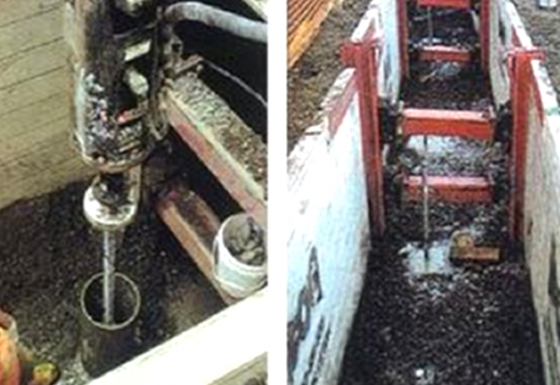 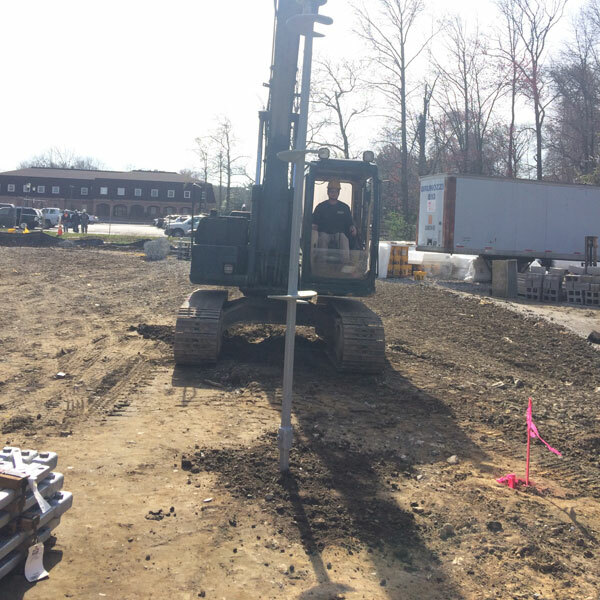 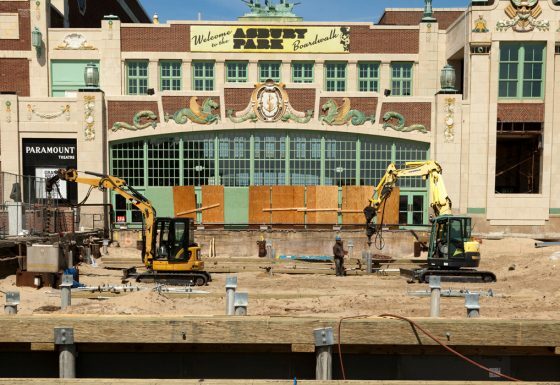 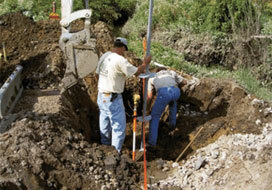 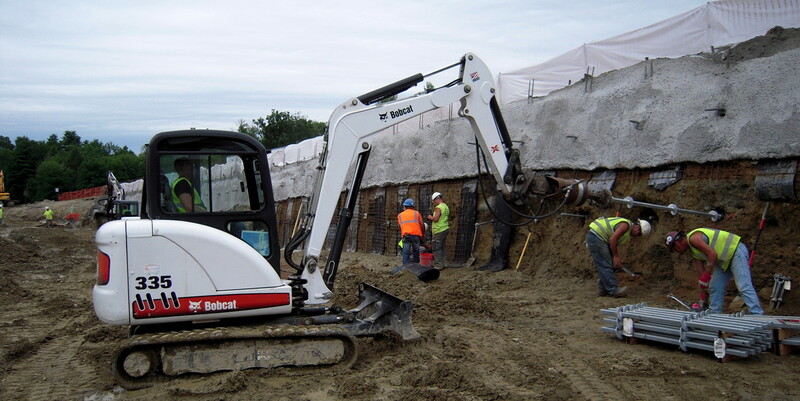 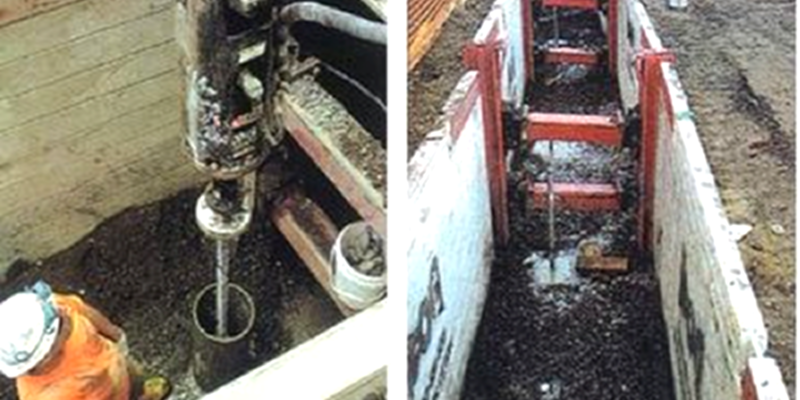 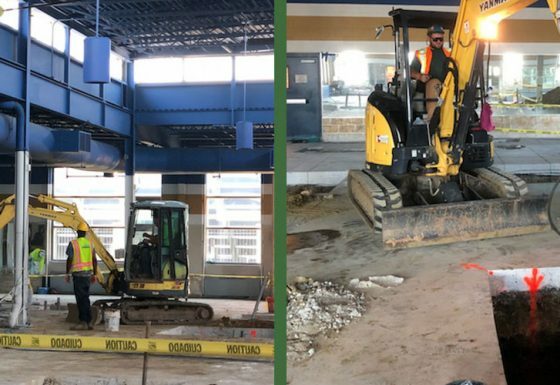 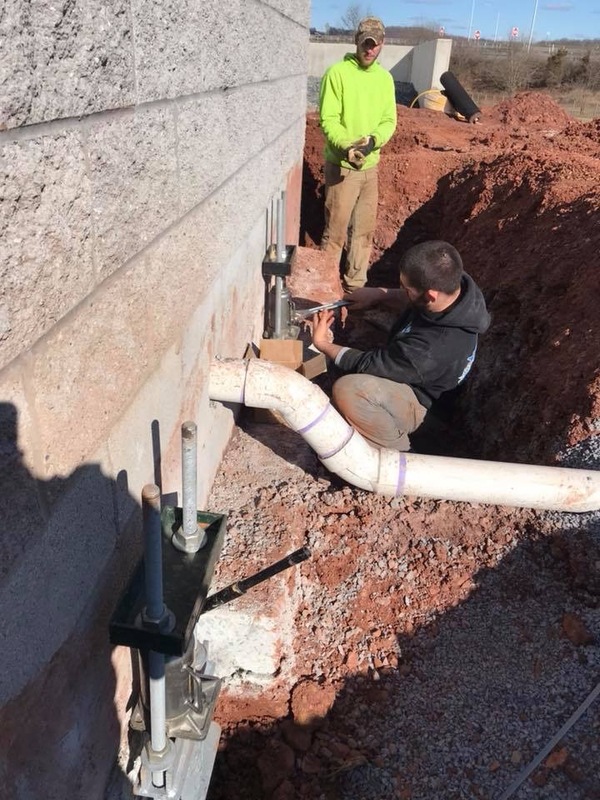 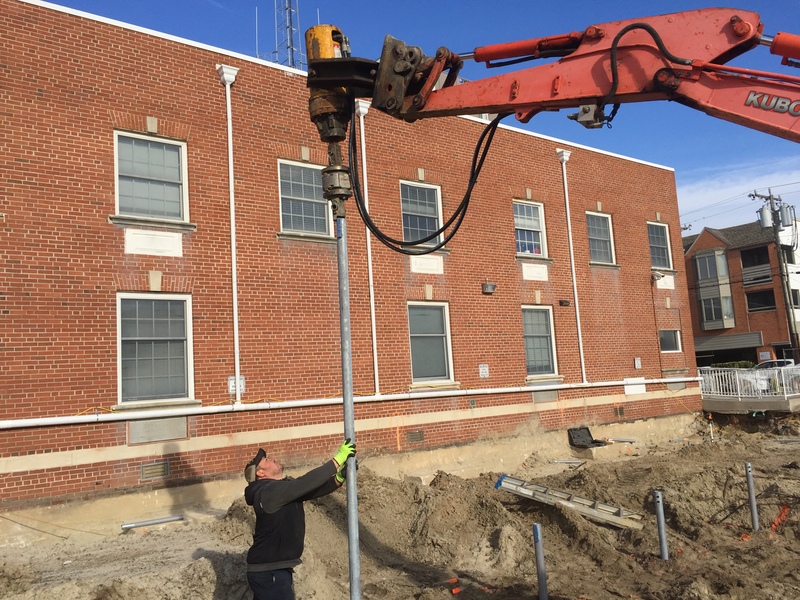 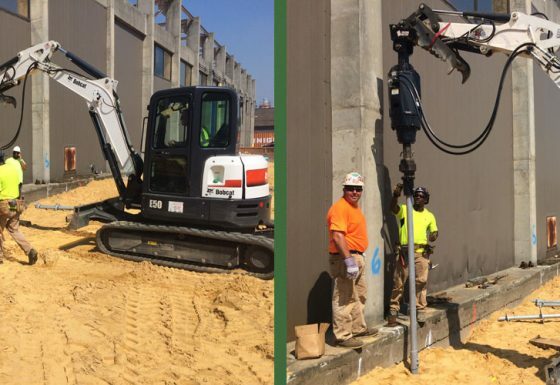 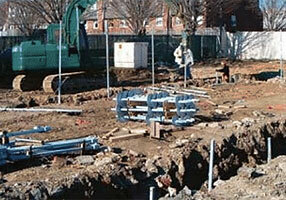 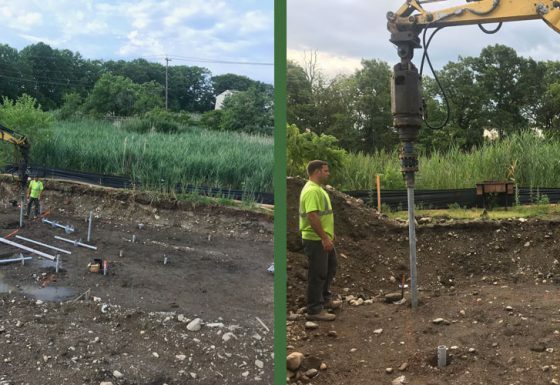 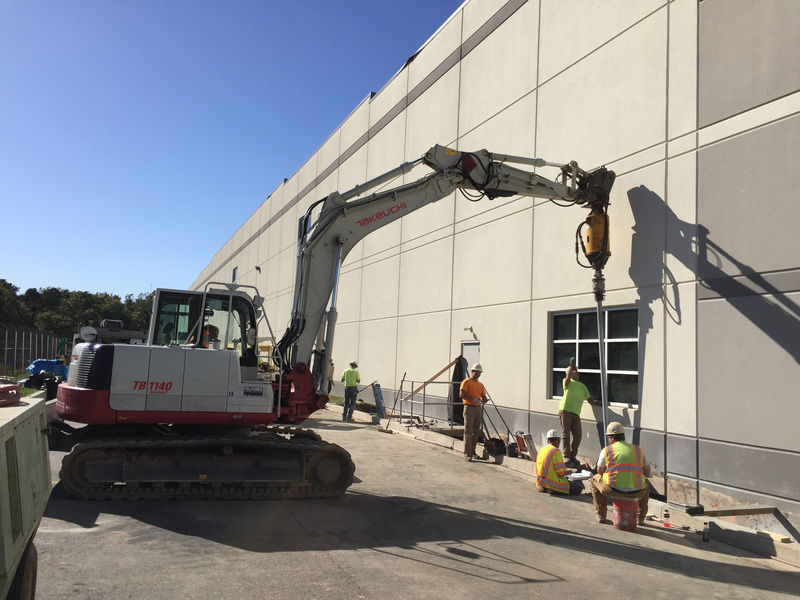 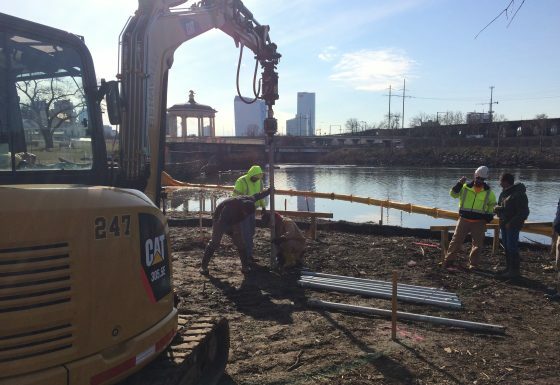 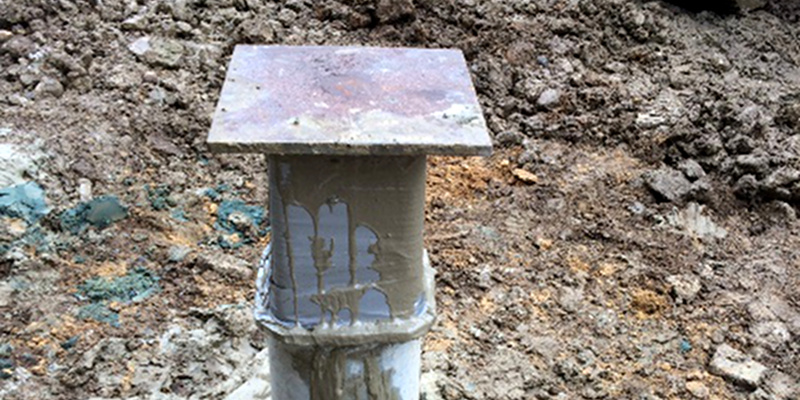 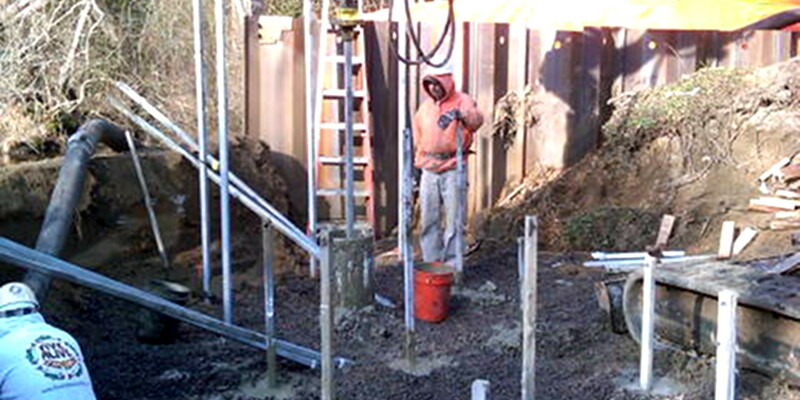 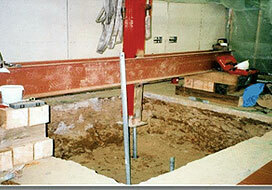 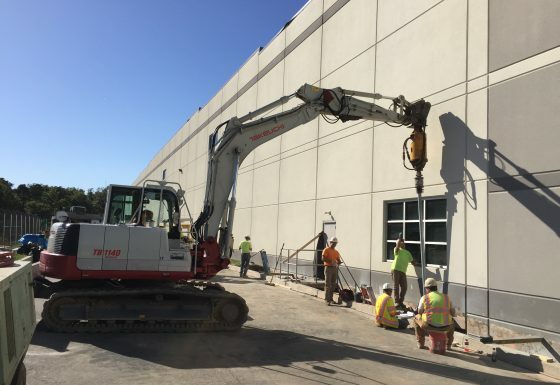 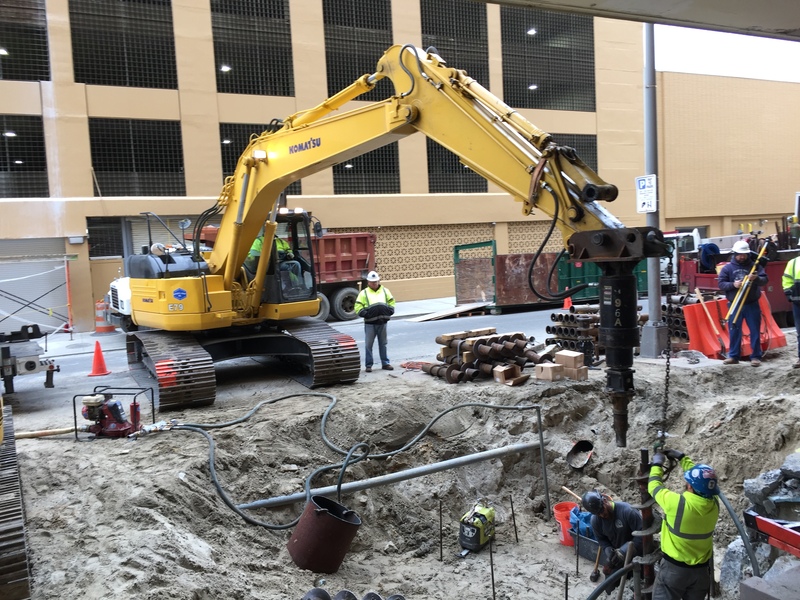 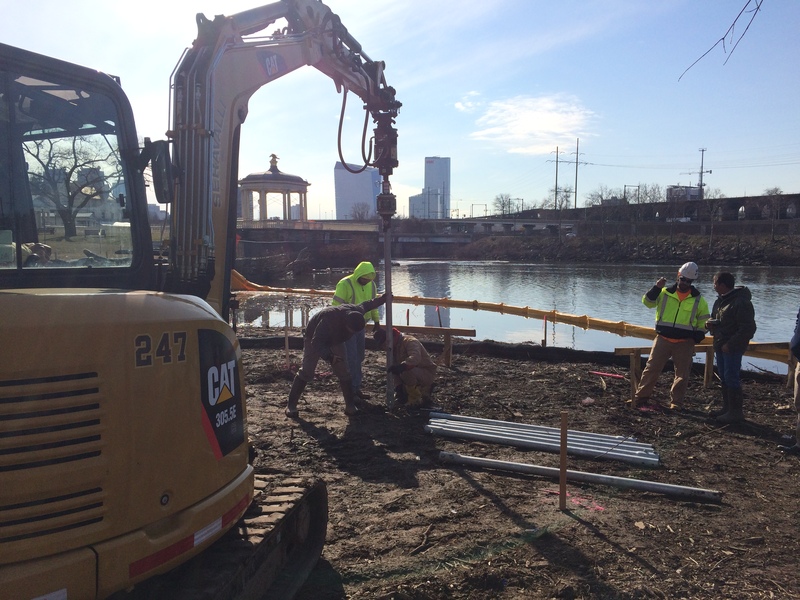 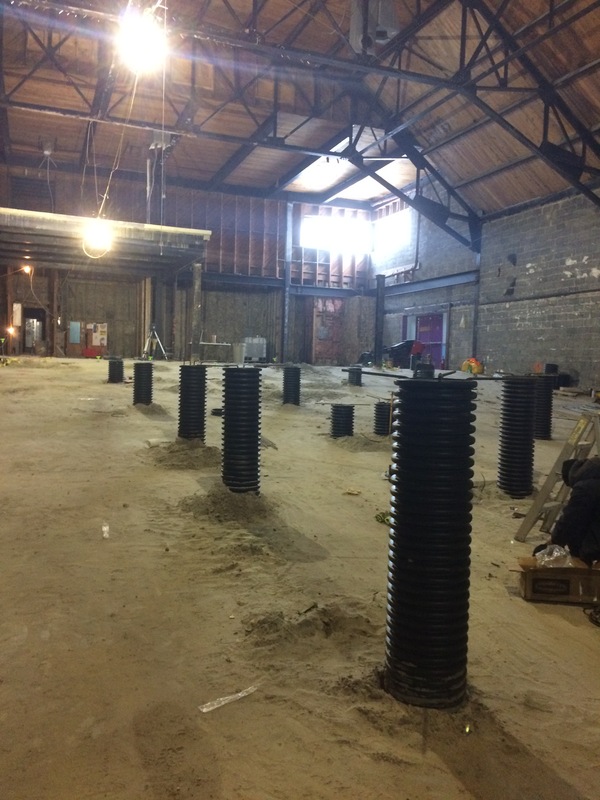 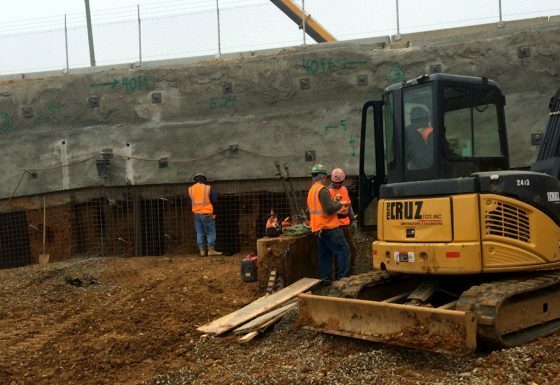 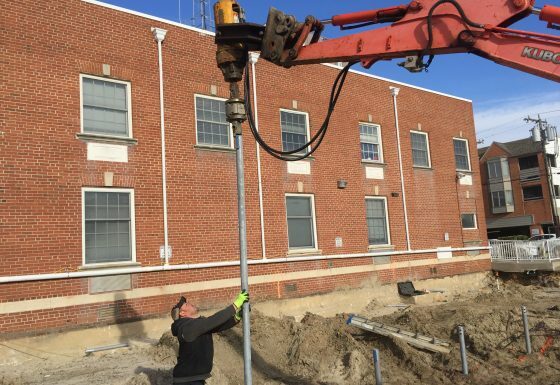 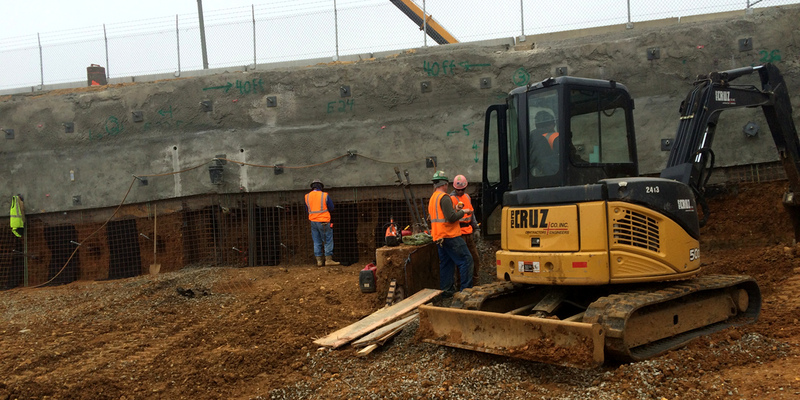 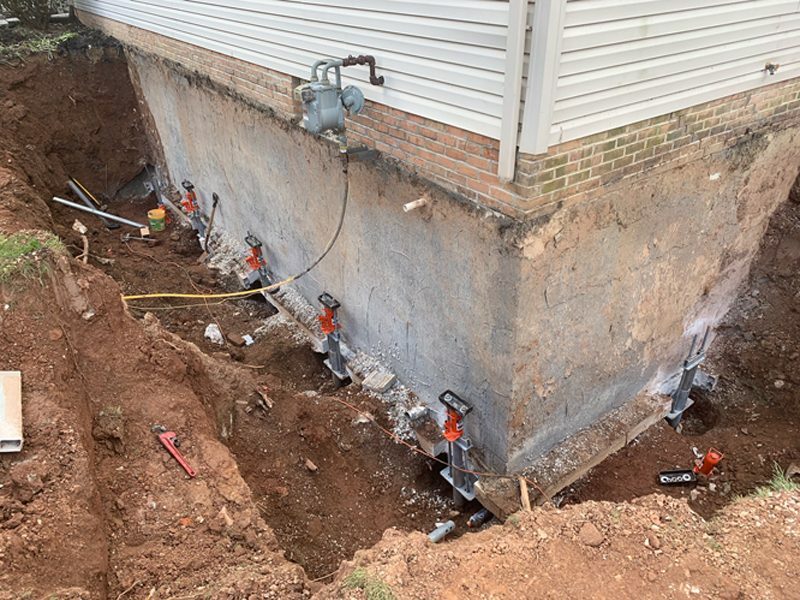 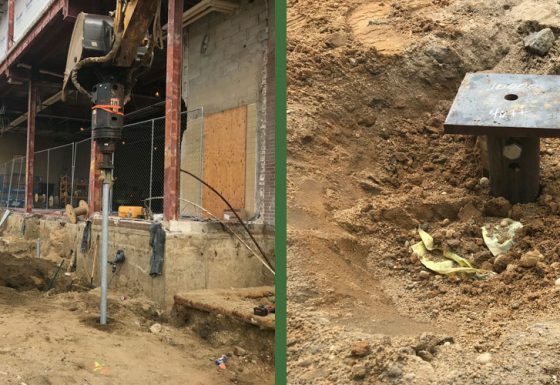 Due to historically poor weight of hammer soils, the engineer recommended helical piles to support the pool in a compression. 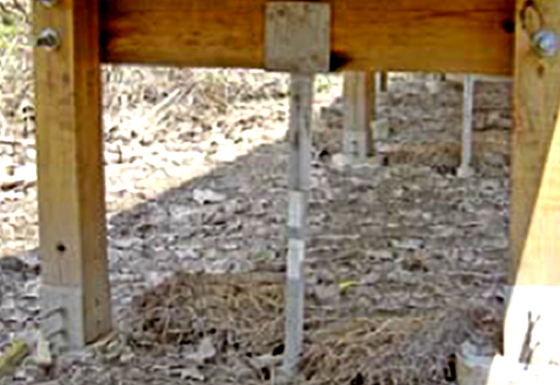 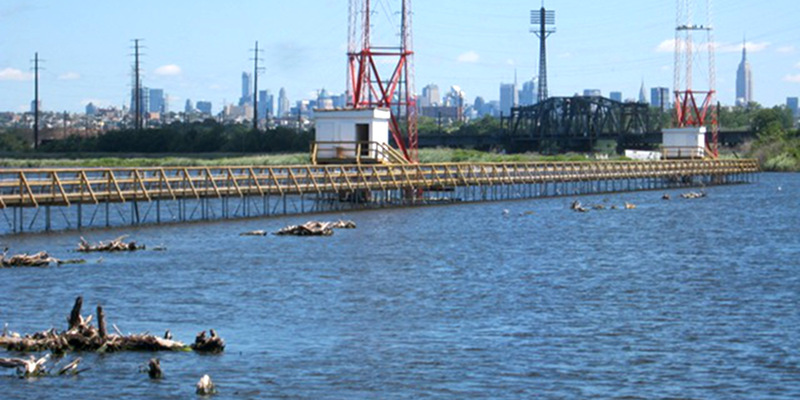 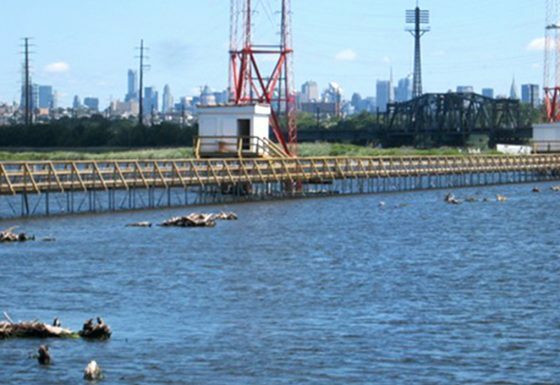 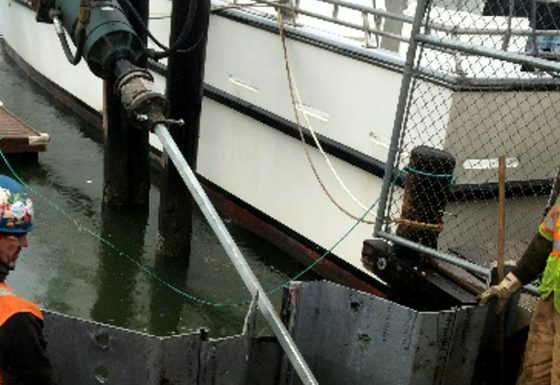 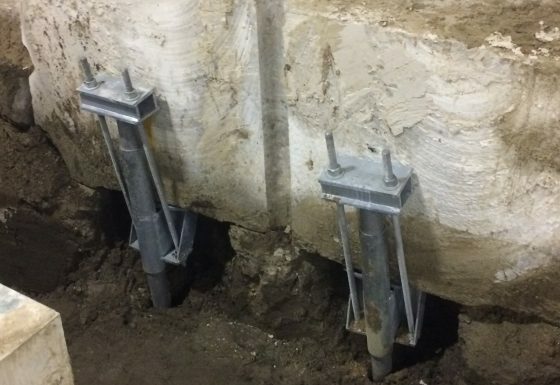 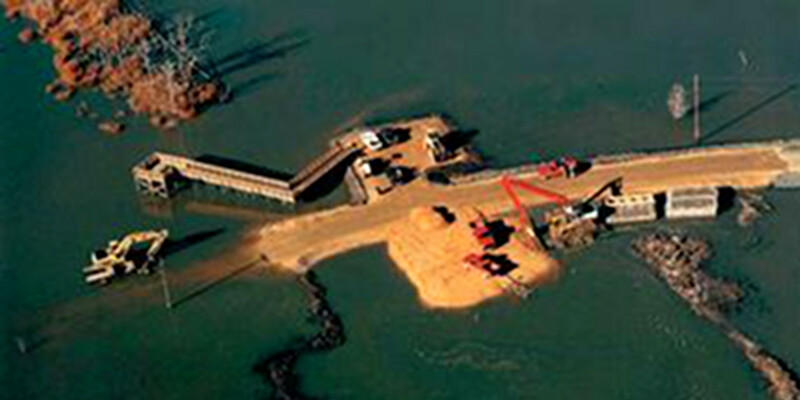 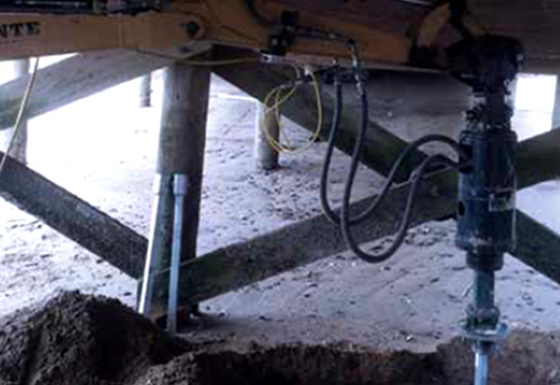 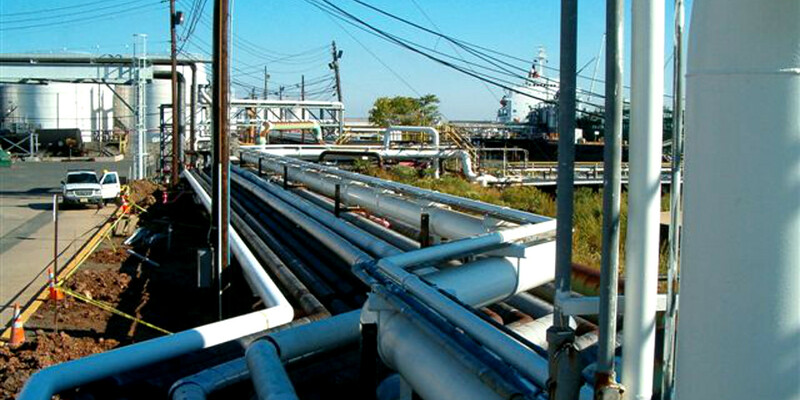 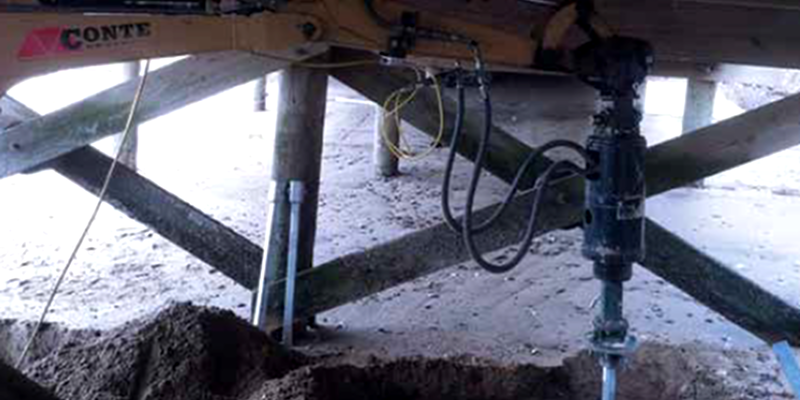 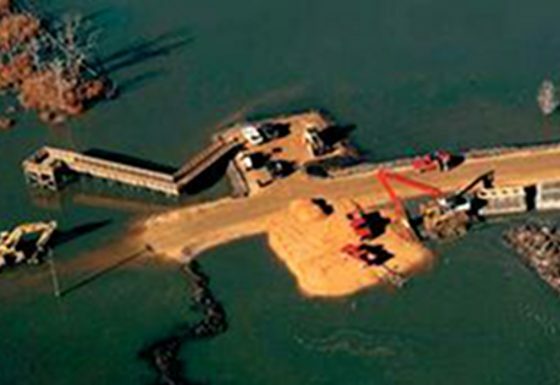 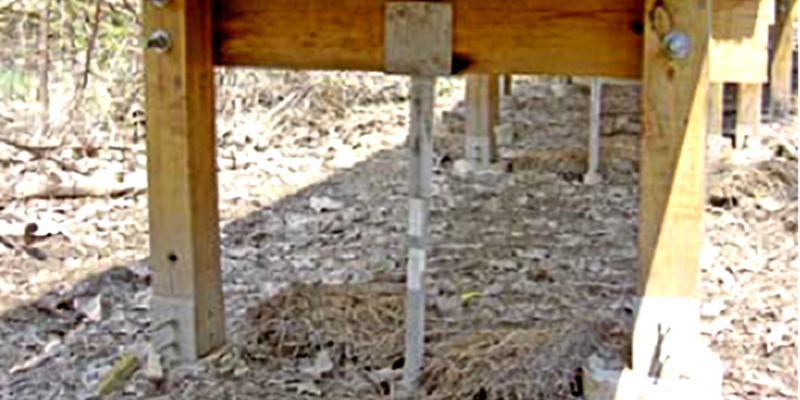 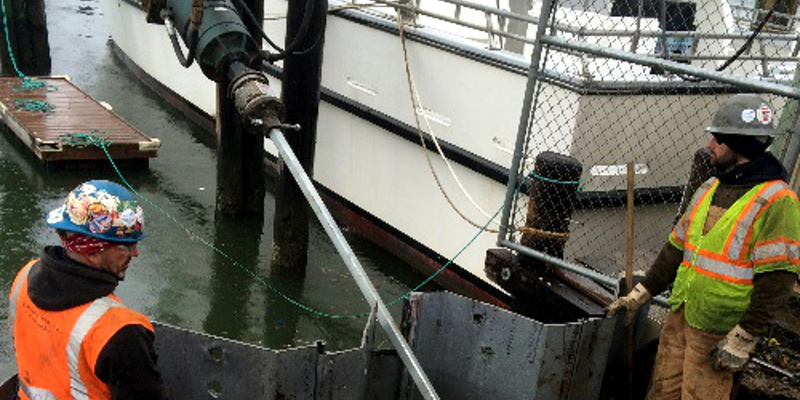 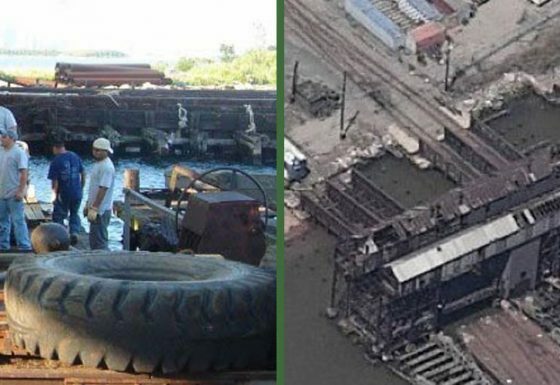 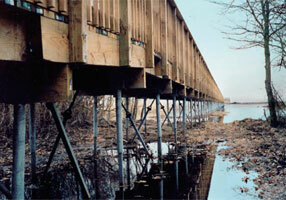 Due to hydrostatic pressures from tidal changes, the same helicals were used as anchors in tension to resist uplift. 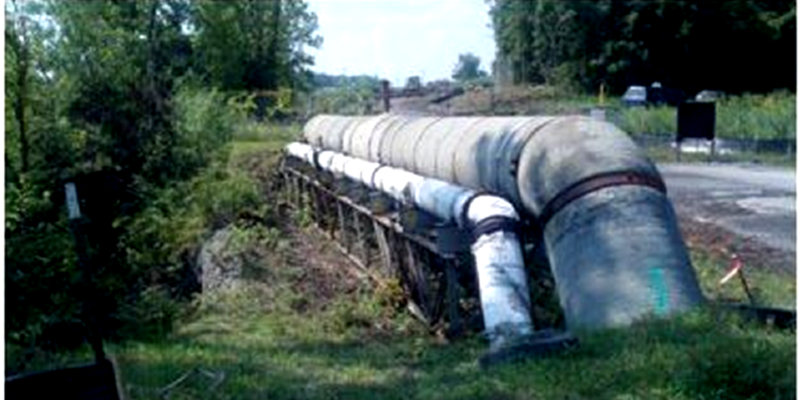 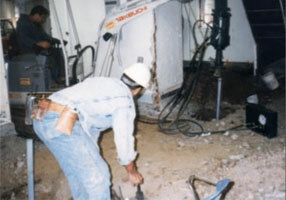 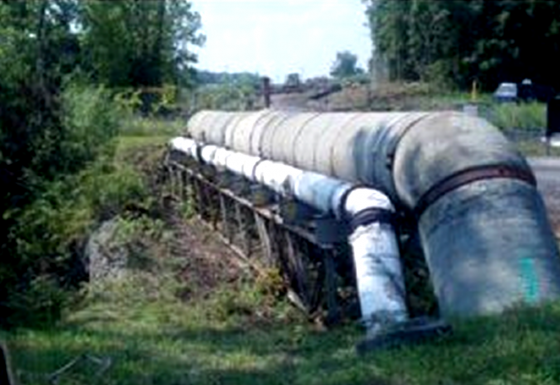 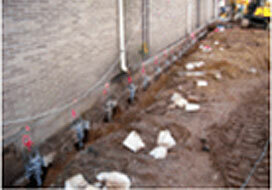 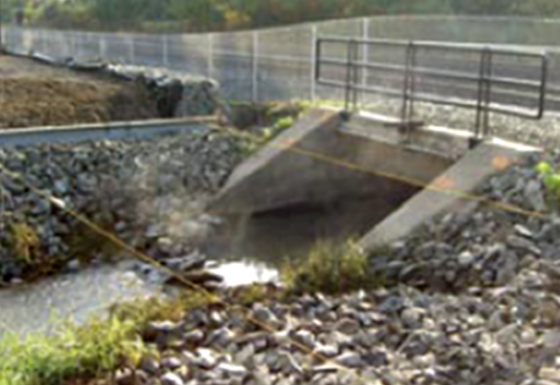 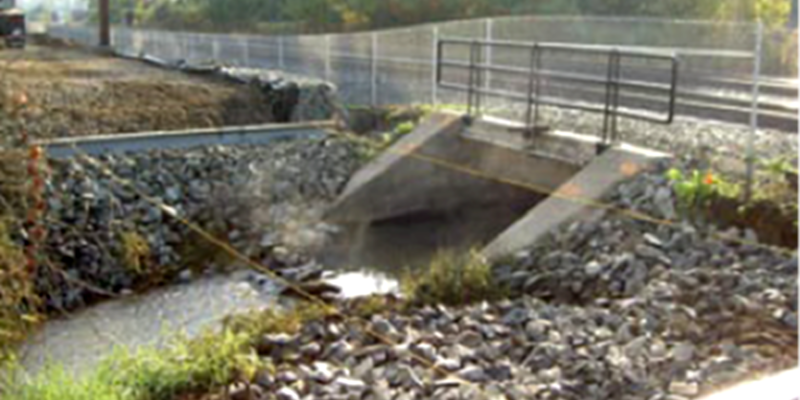 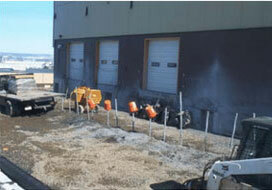 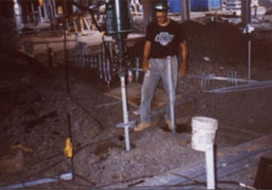 Challenge/Unique Aspect: The contractor used square shaft leads that transitioned to pipe. 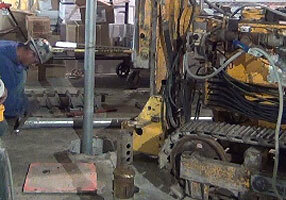 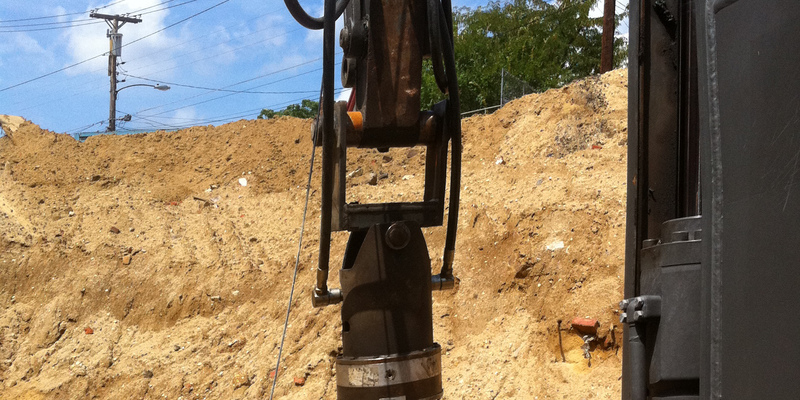 By doing this he was able to use the higher KT factor on the square shaft achieving the torque at lesser depth. 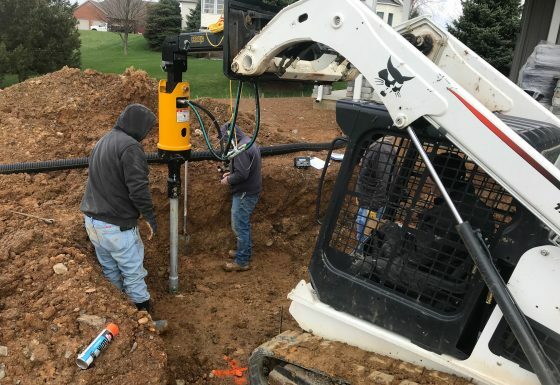 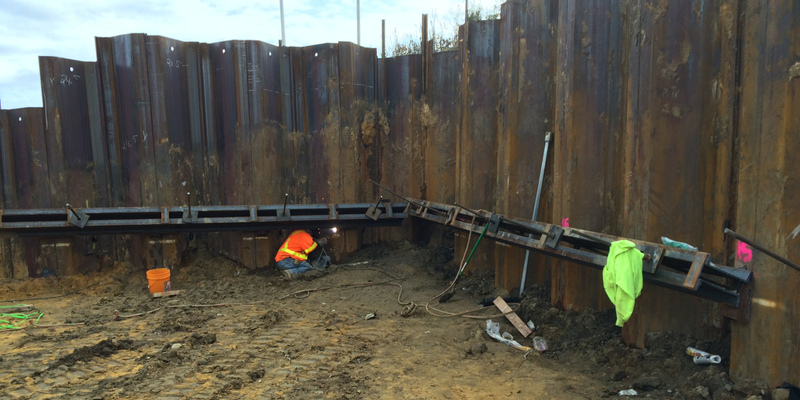 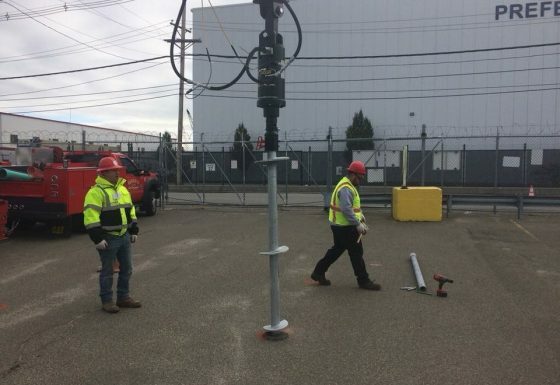 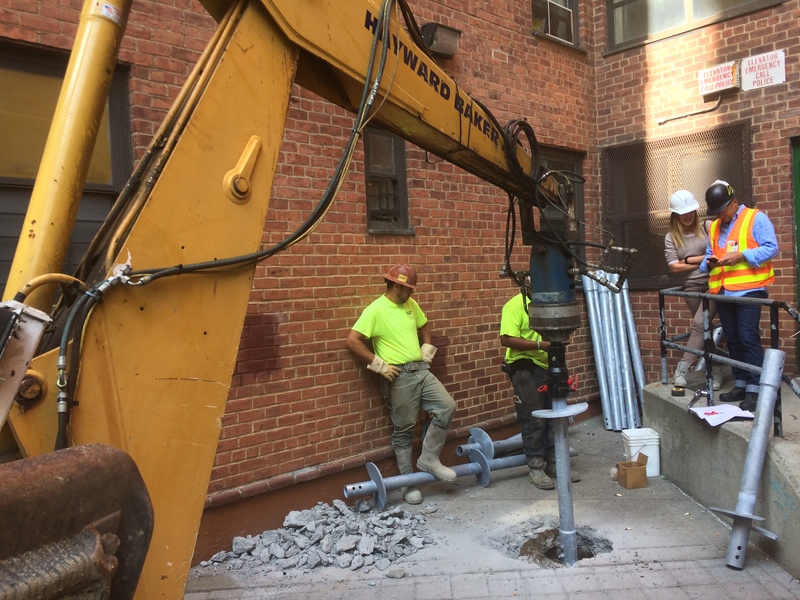 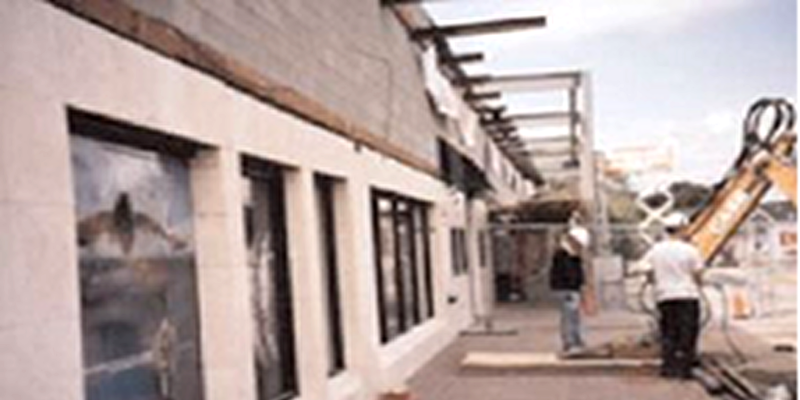 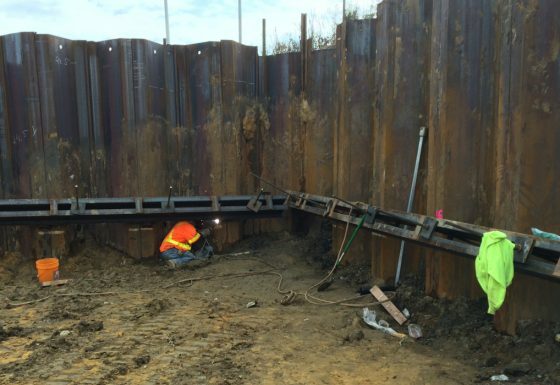 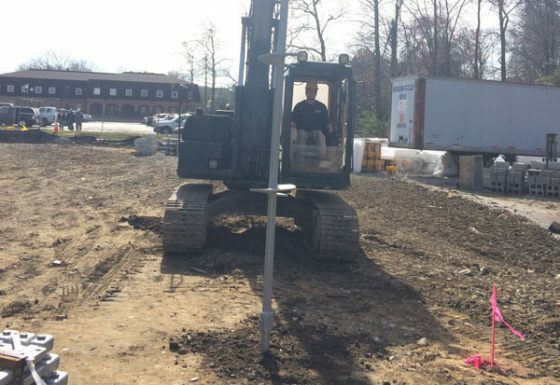 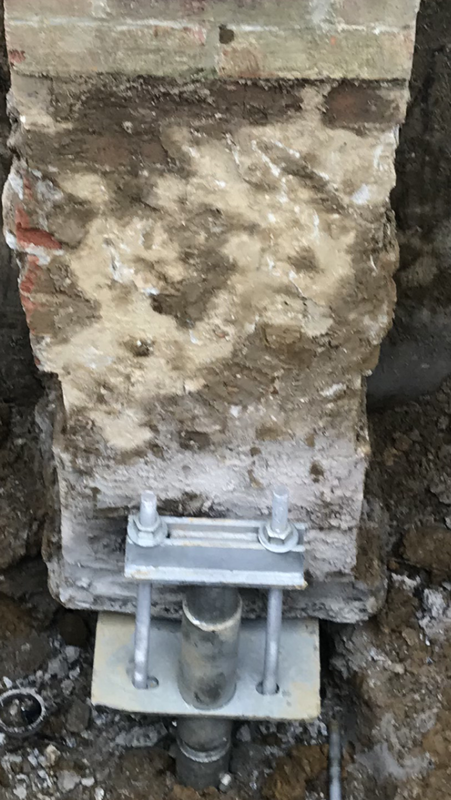 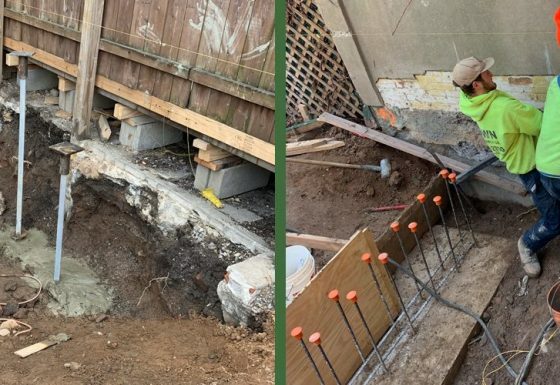 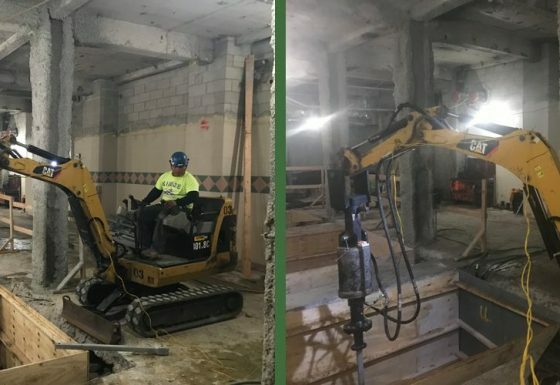 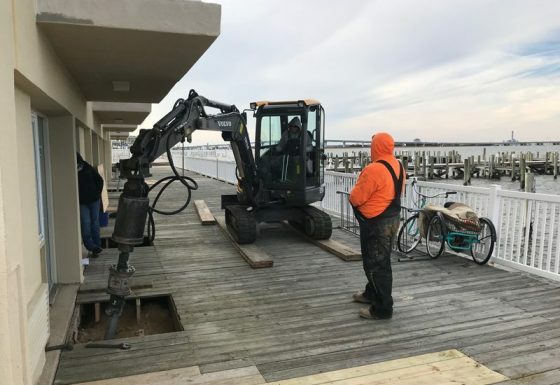 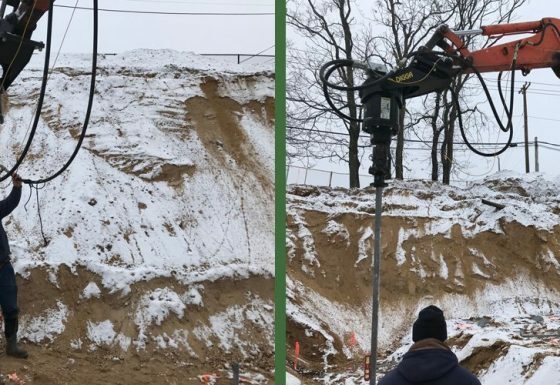 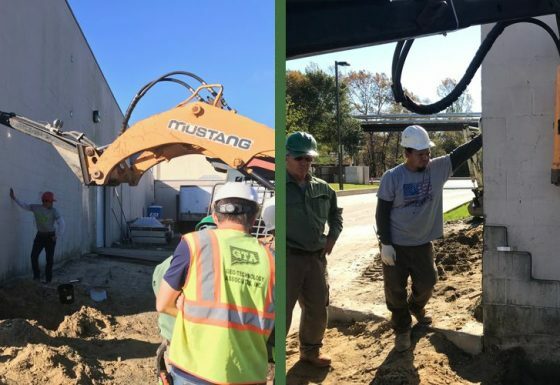 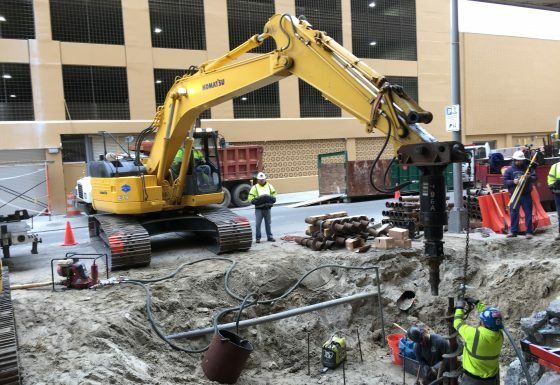 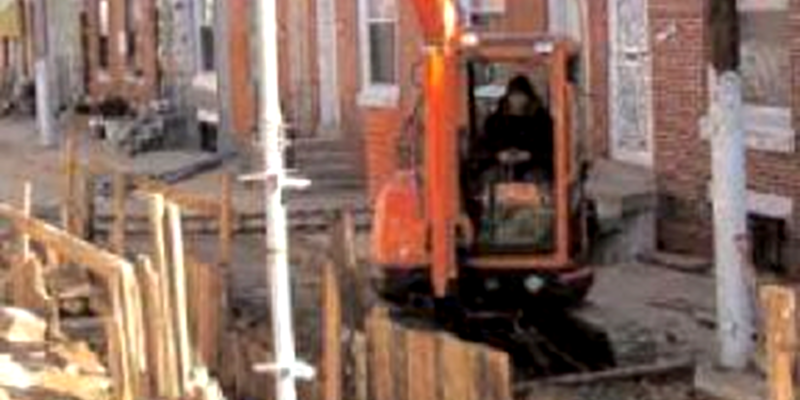 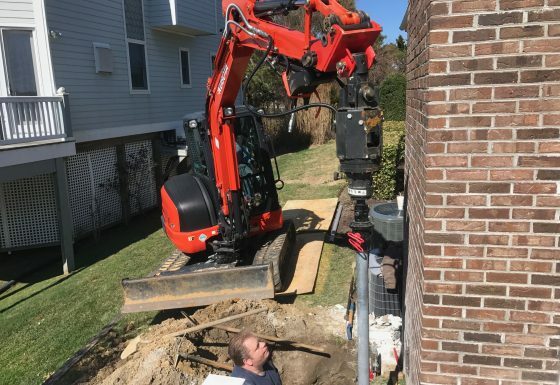 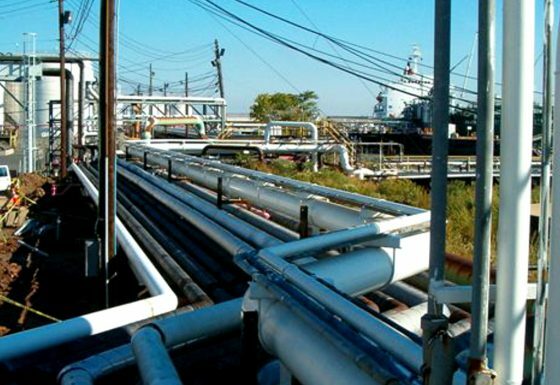 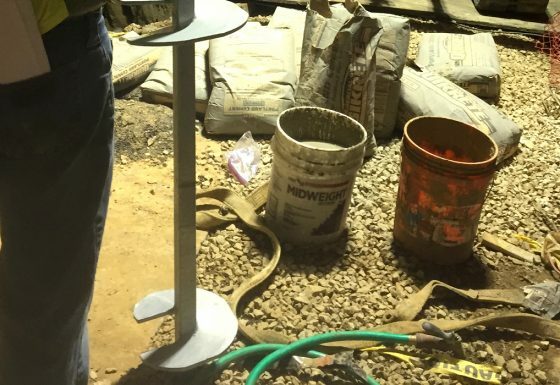 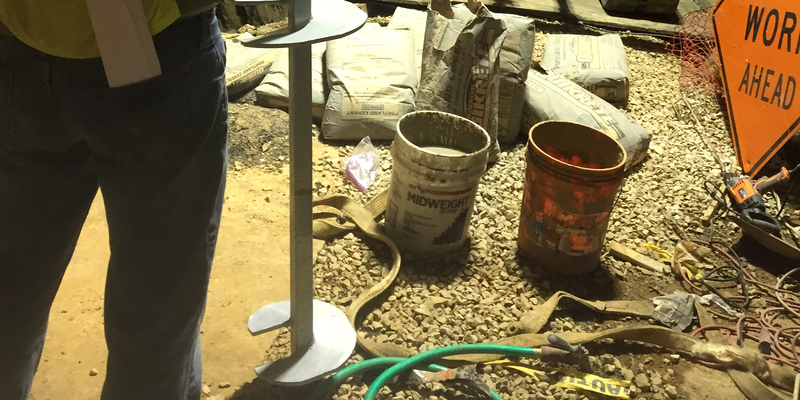 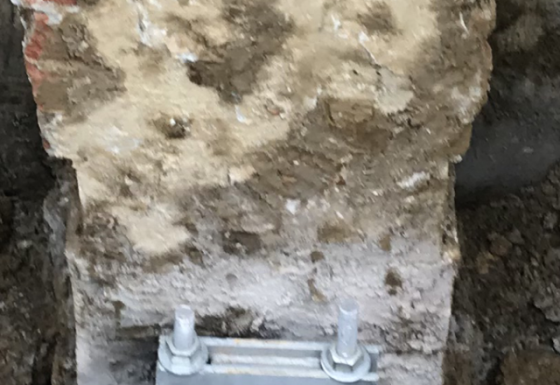 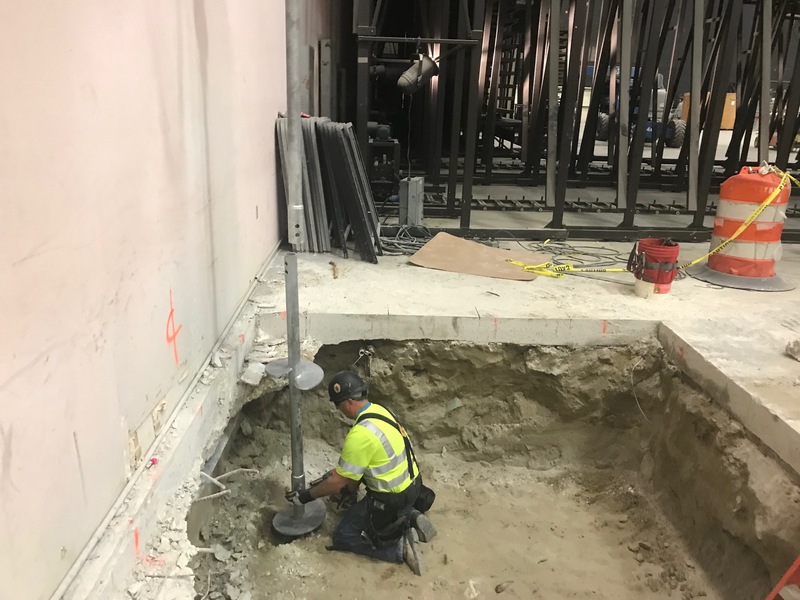 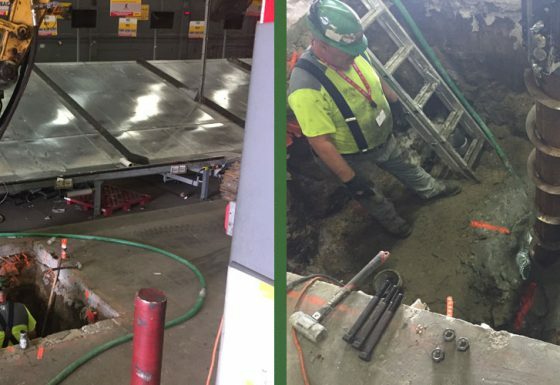 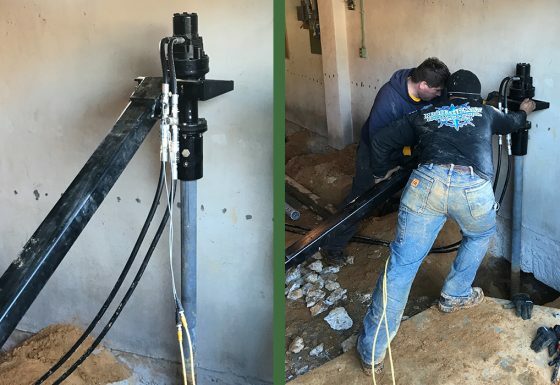 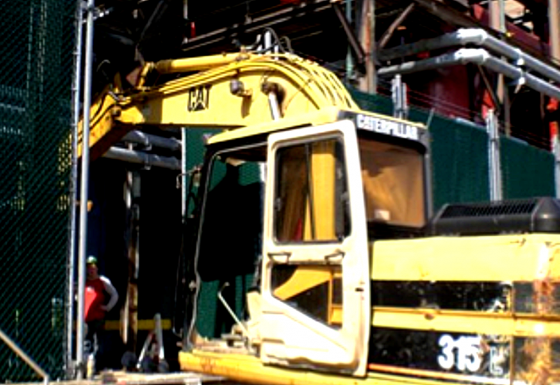 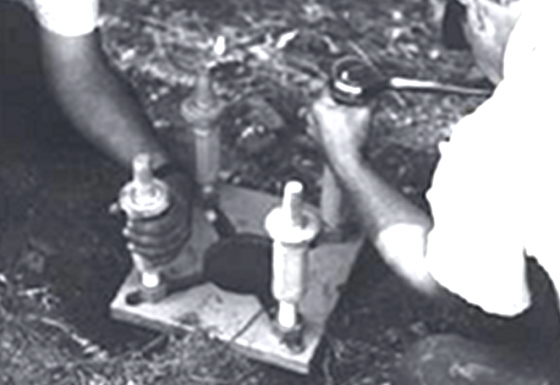 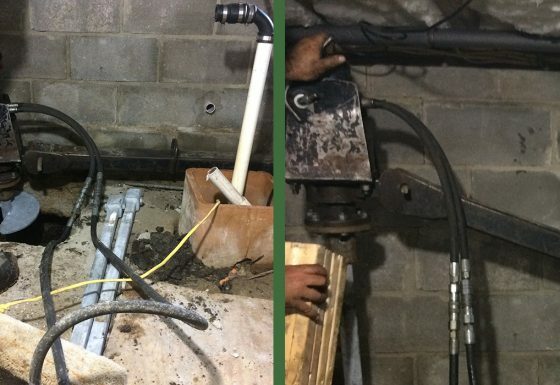 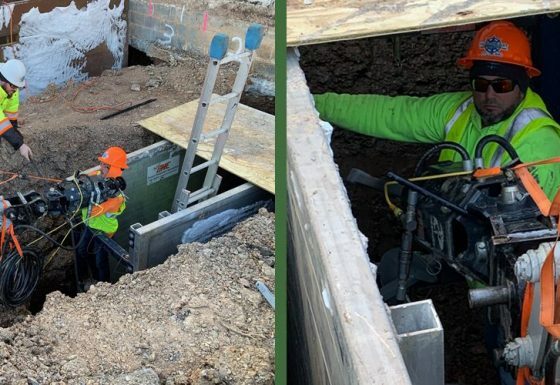 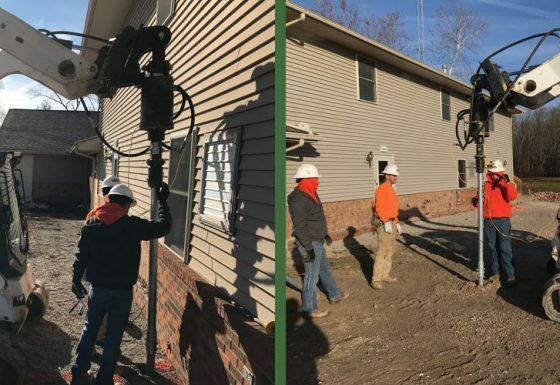 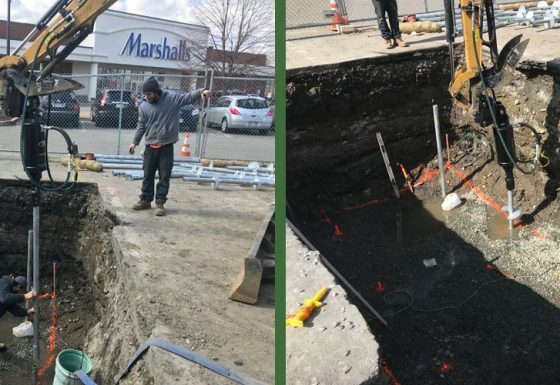 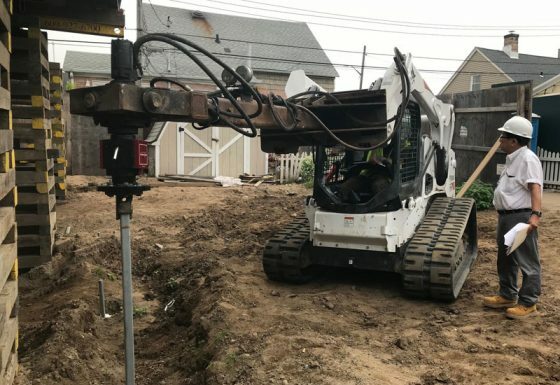 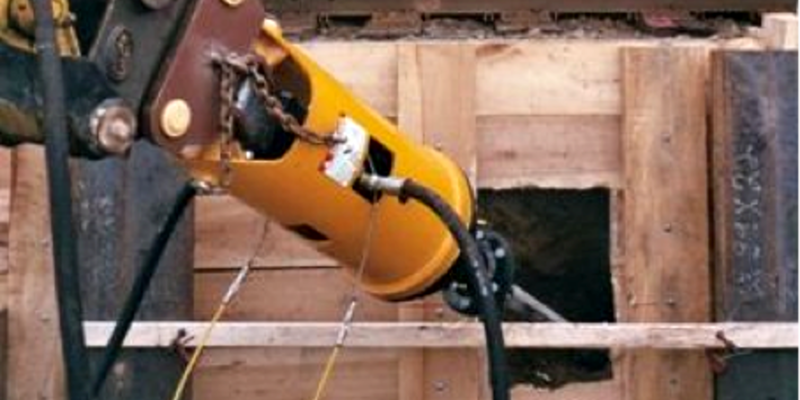 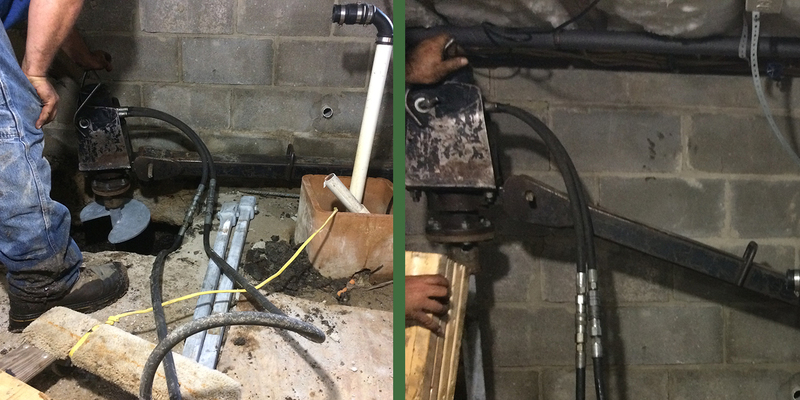 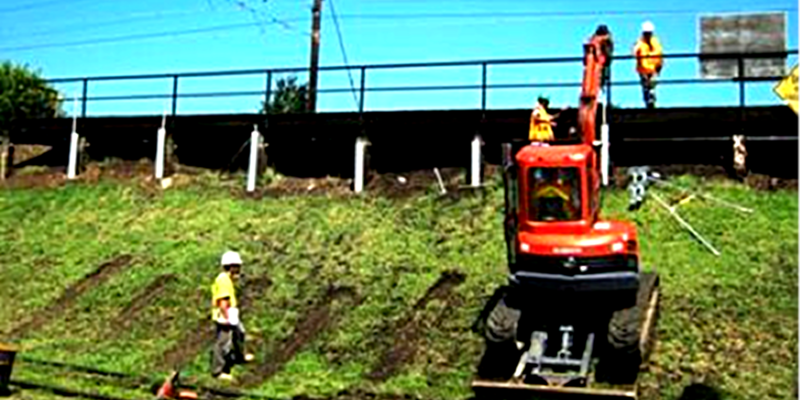 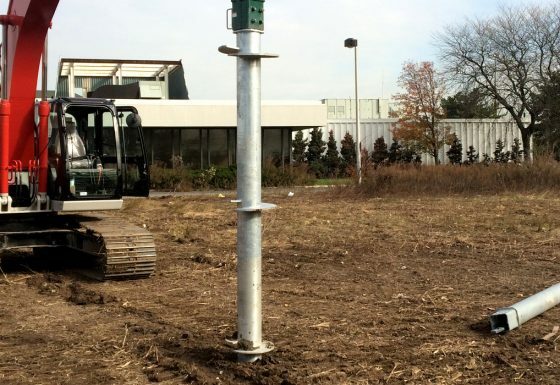 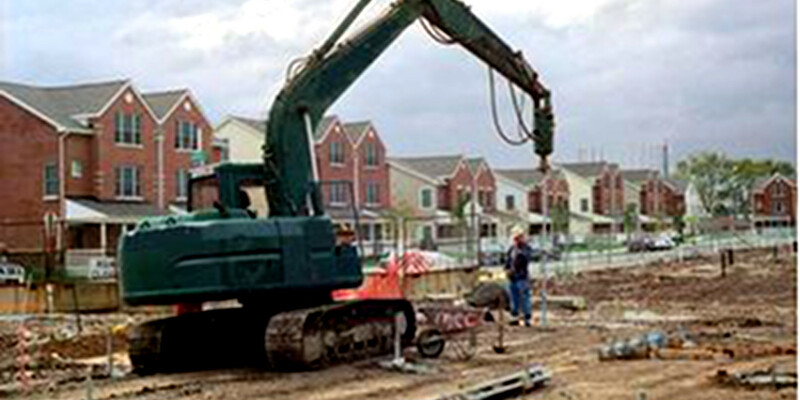 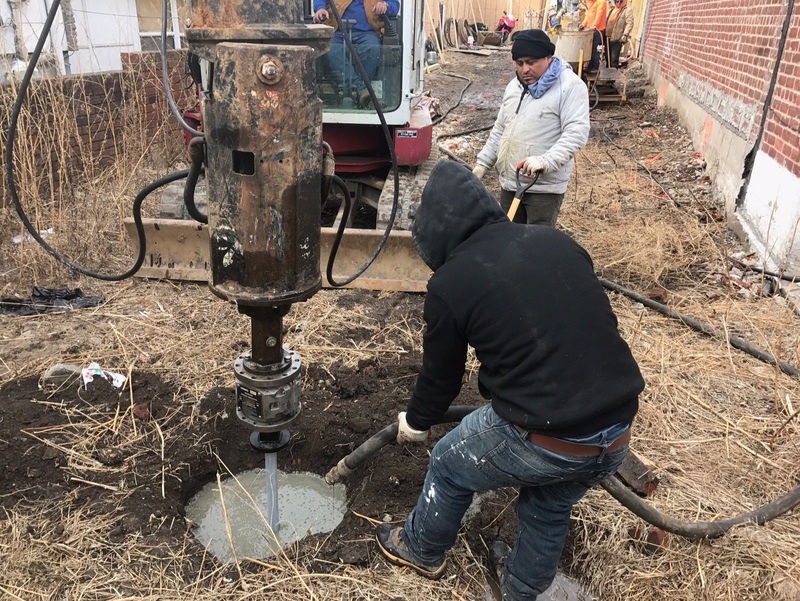 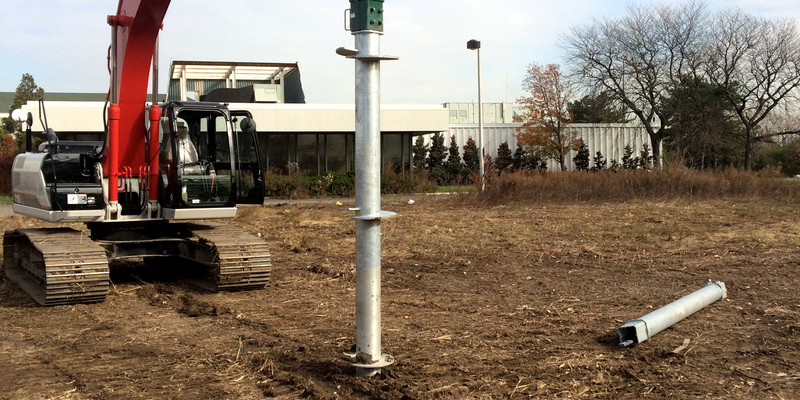 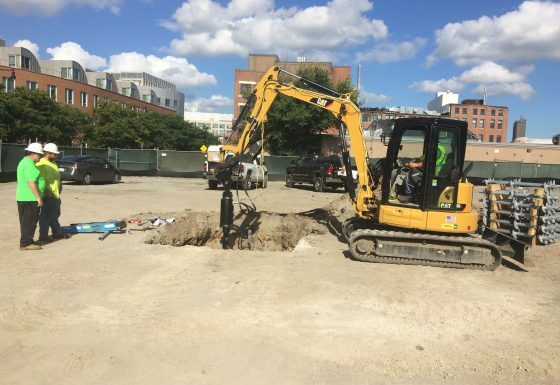 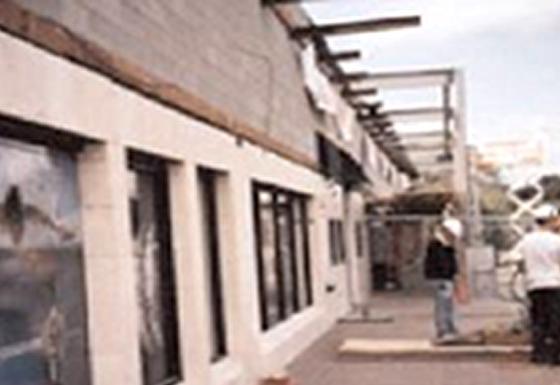 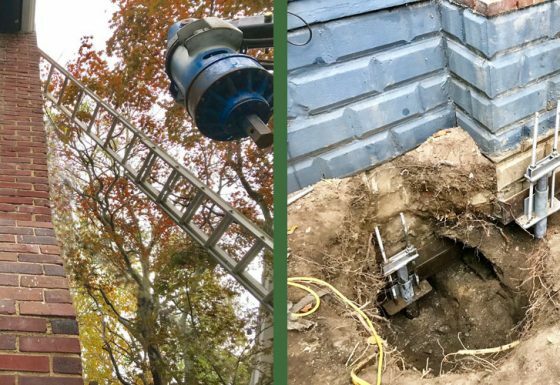 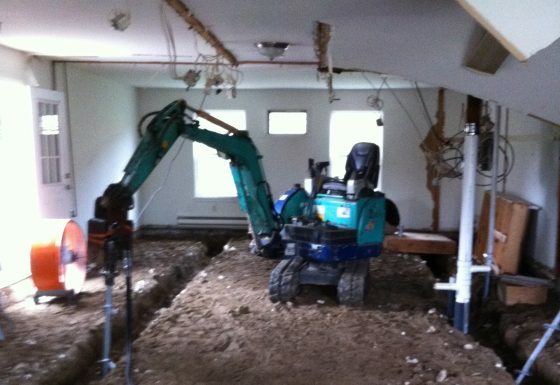 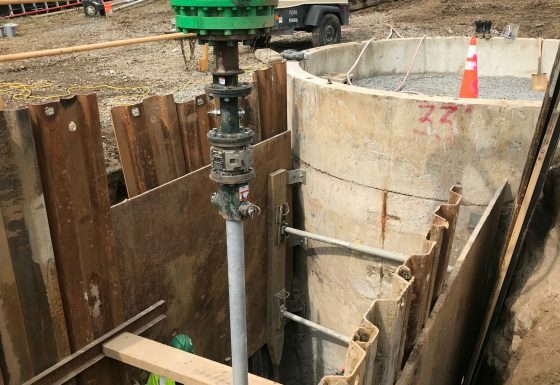 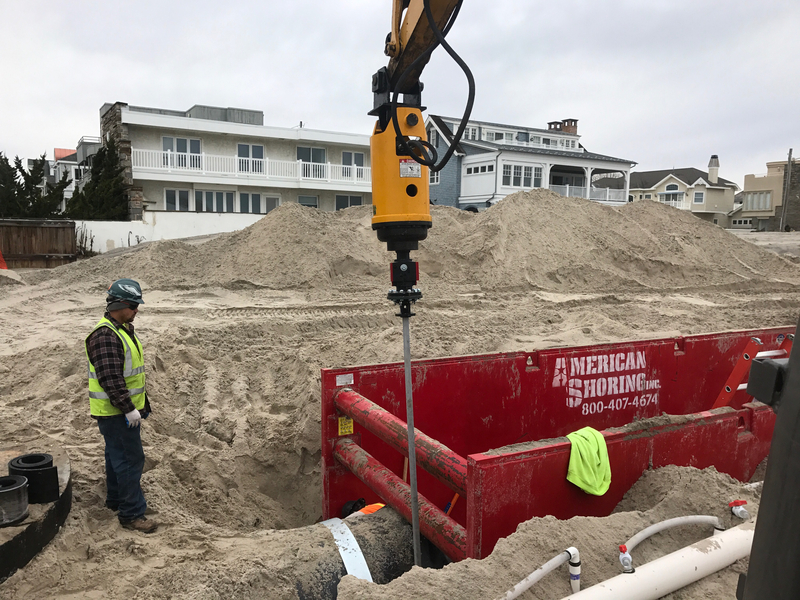 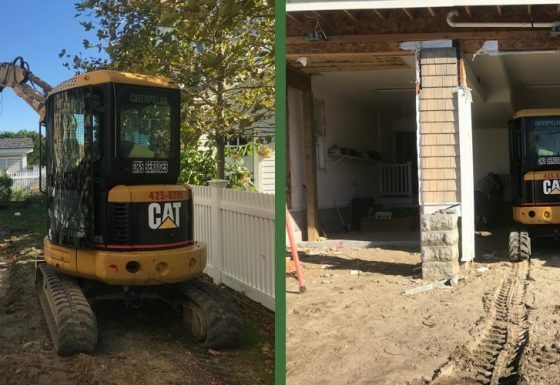 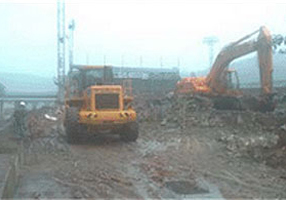 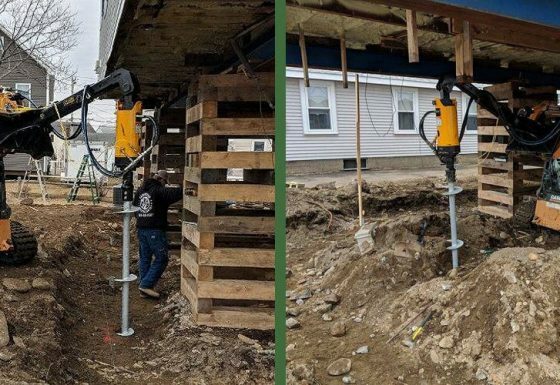 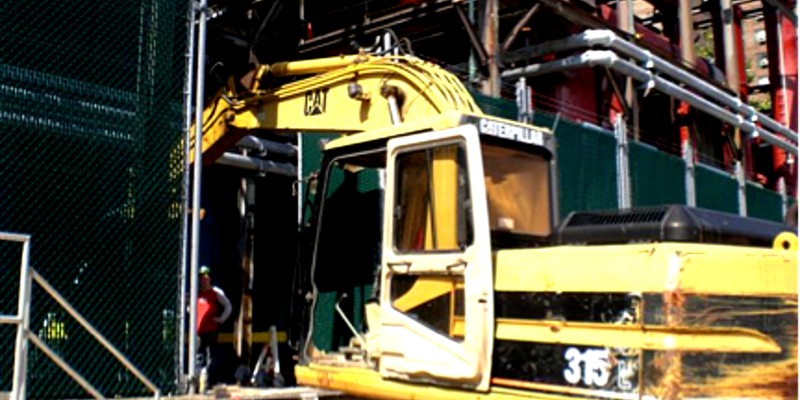 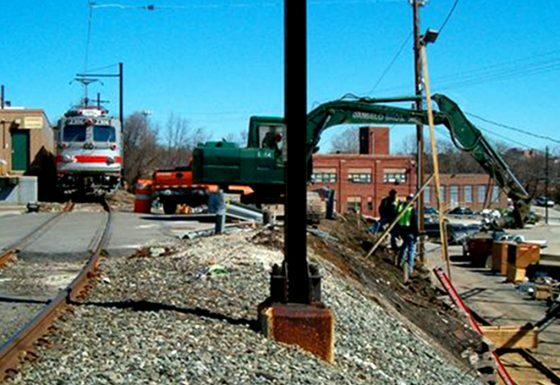 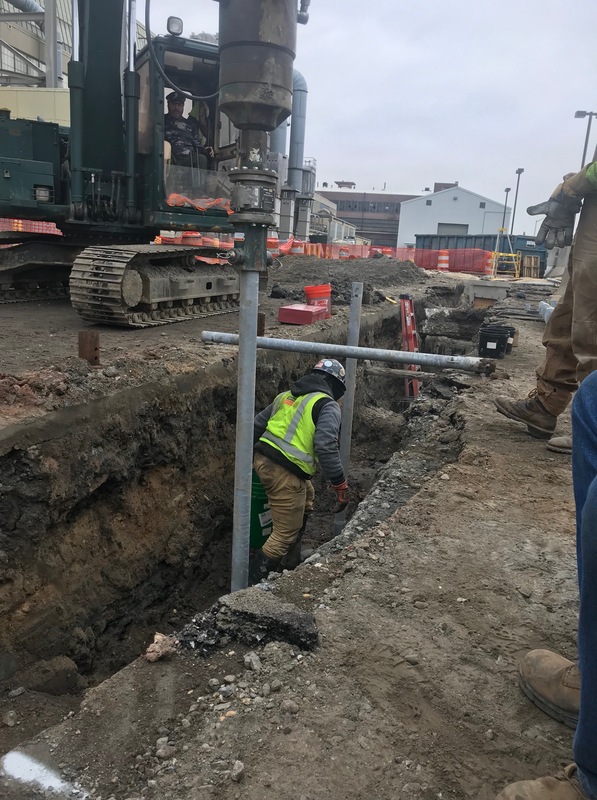 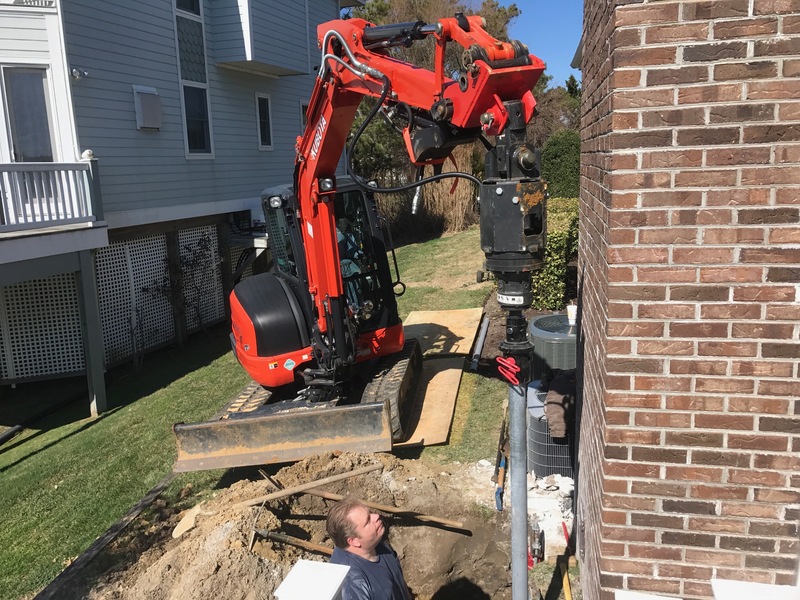 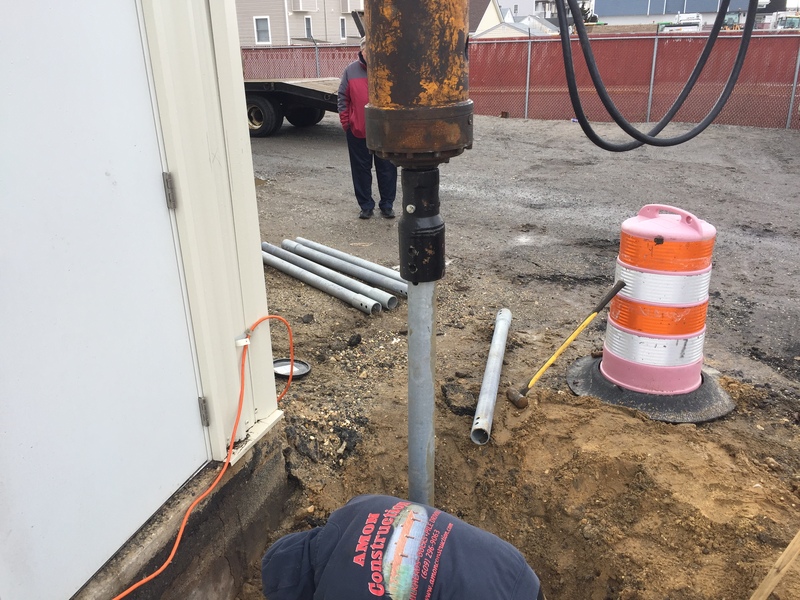 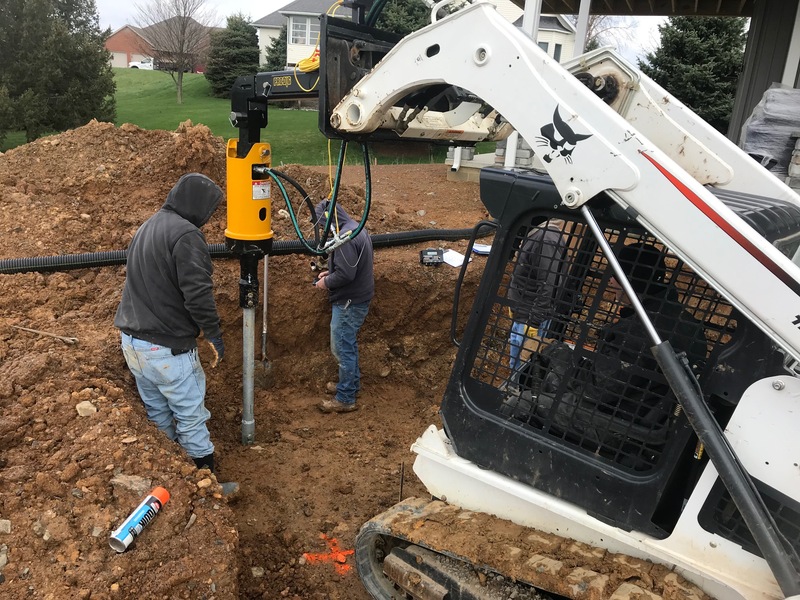 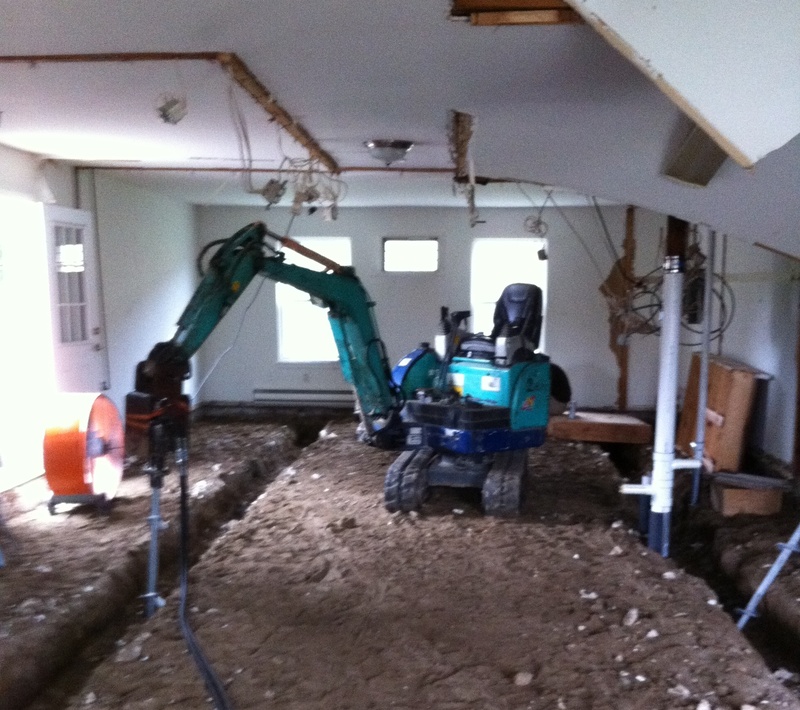 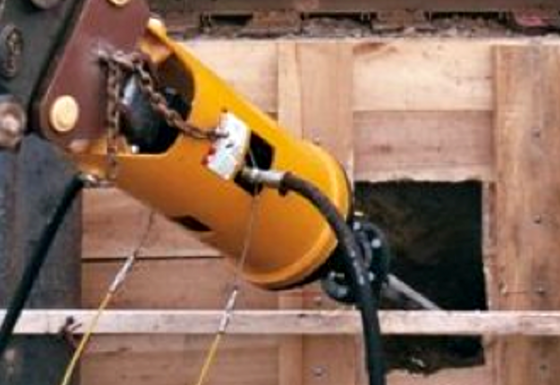 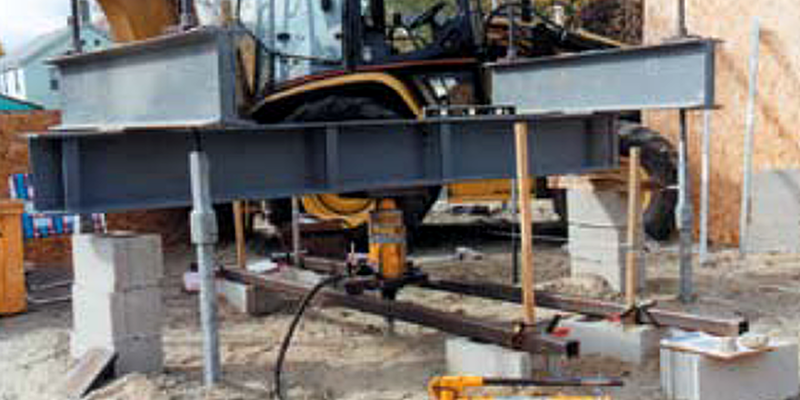 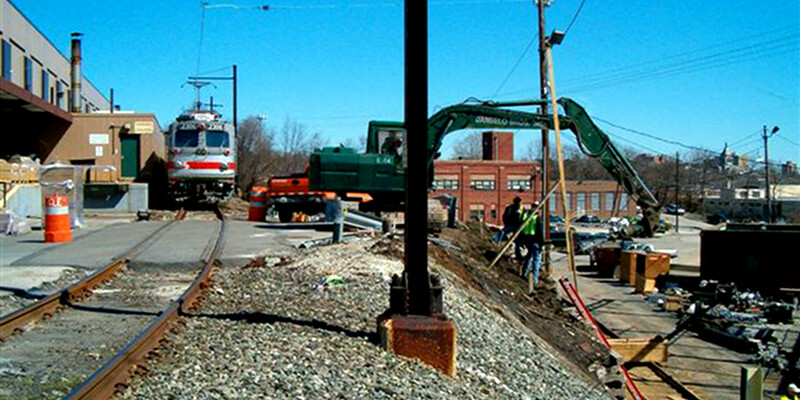 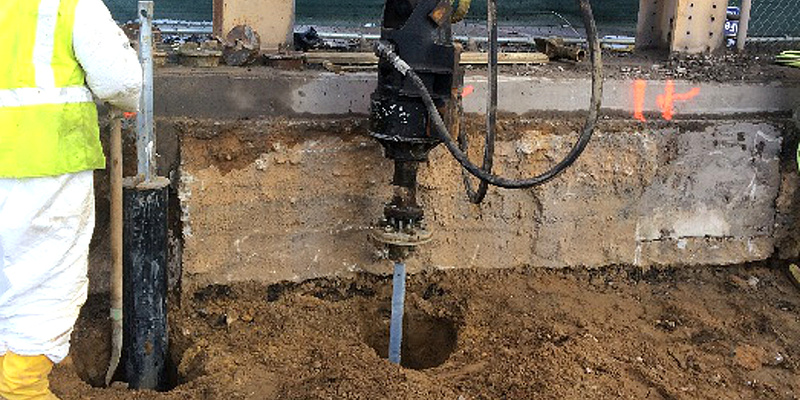 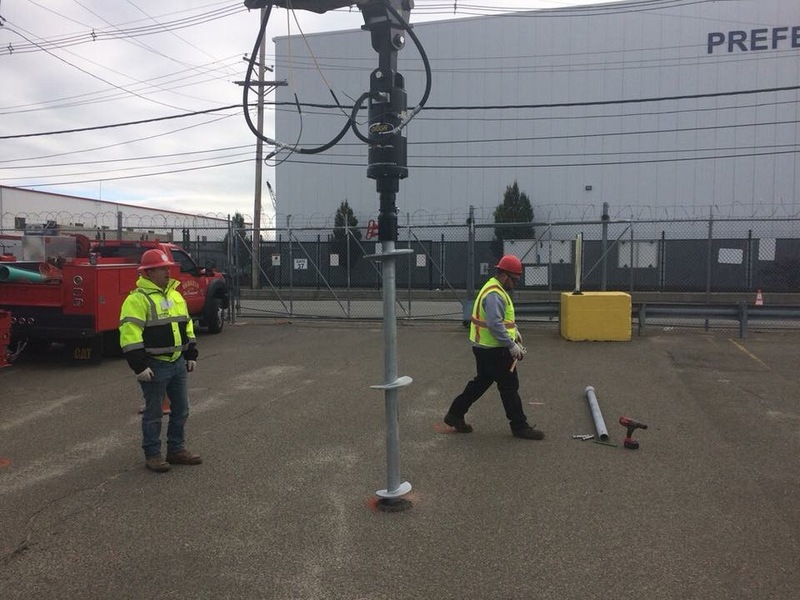 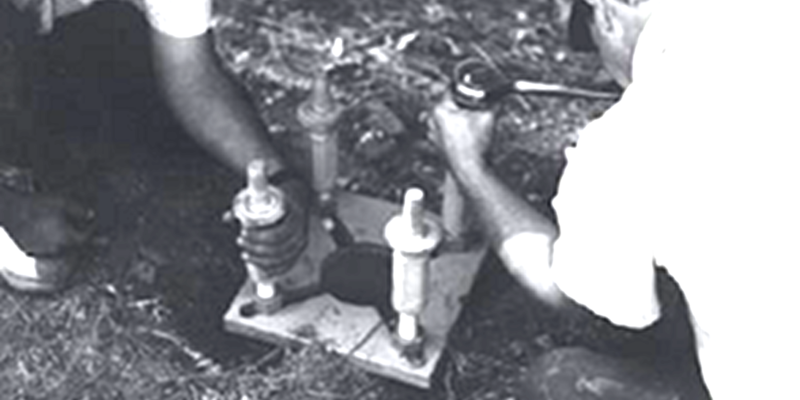 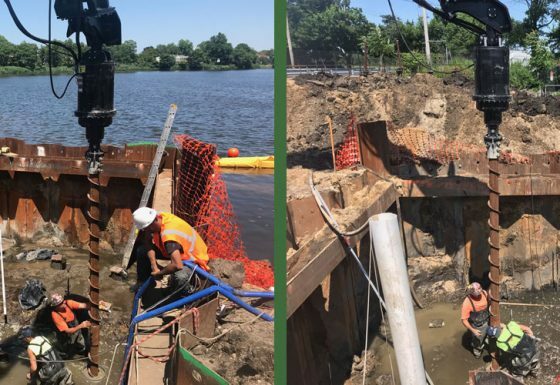 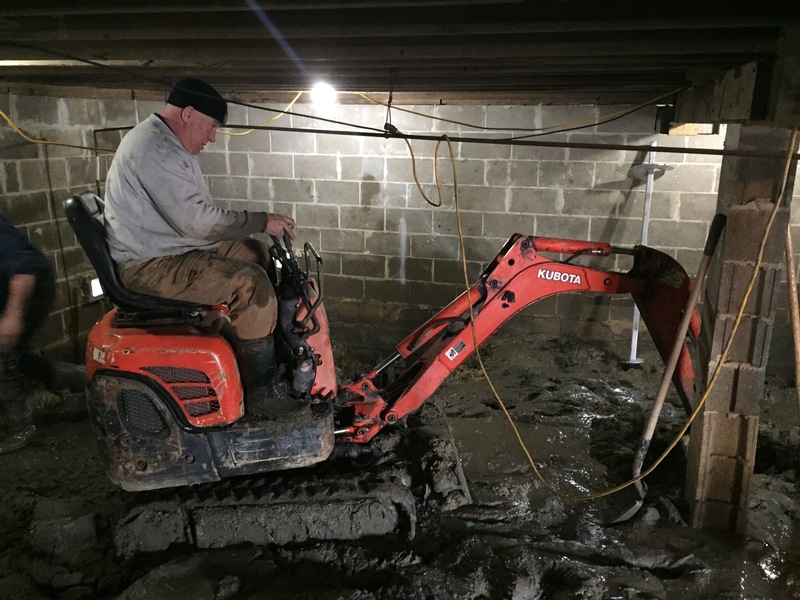 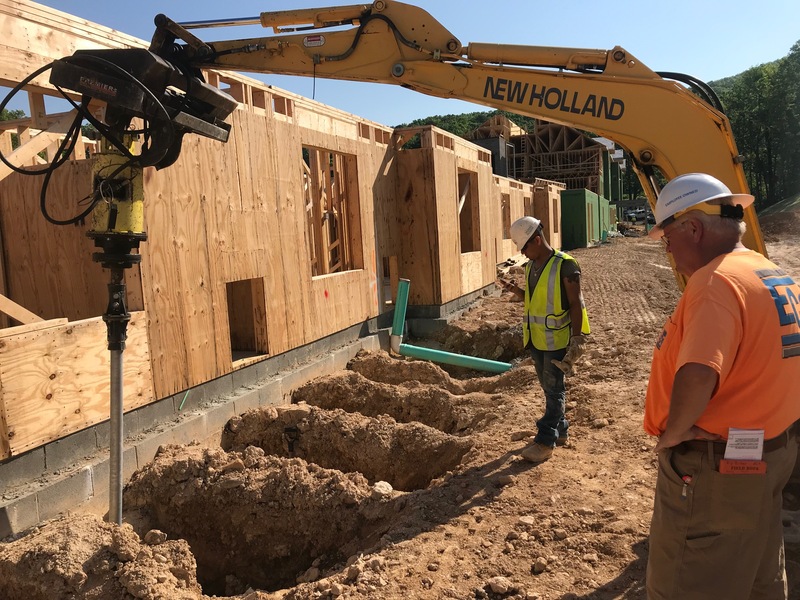 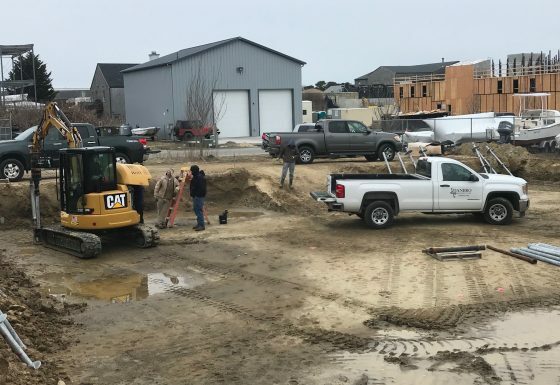 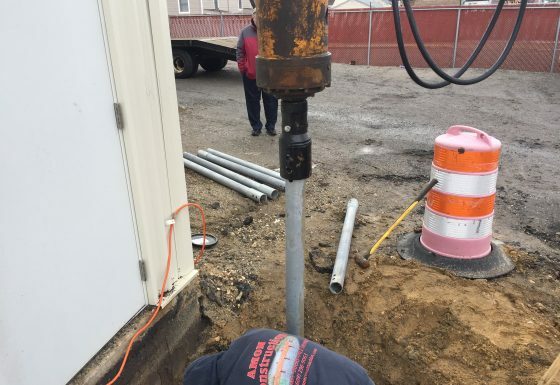 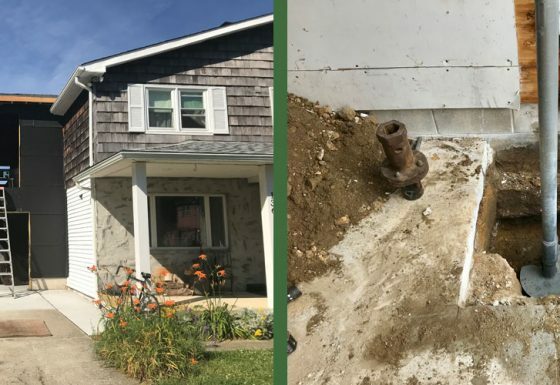 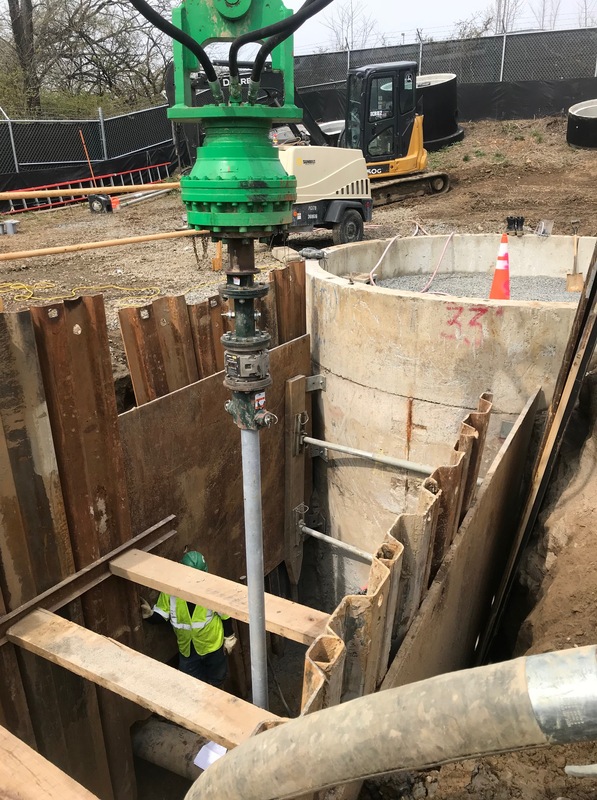 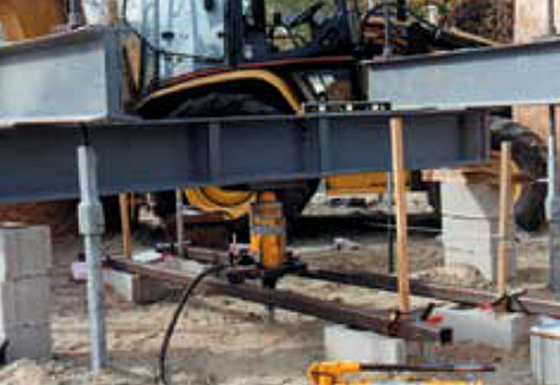 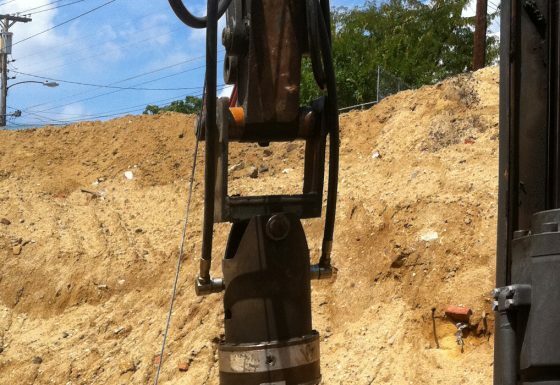 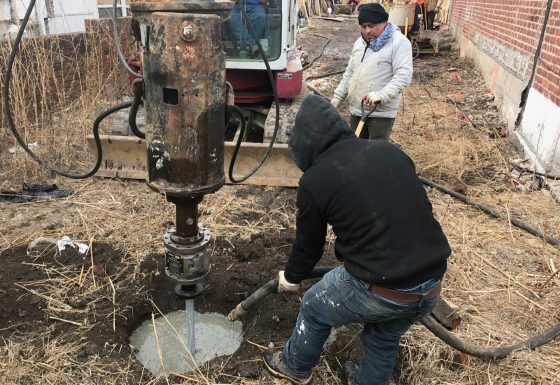 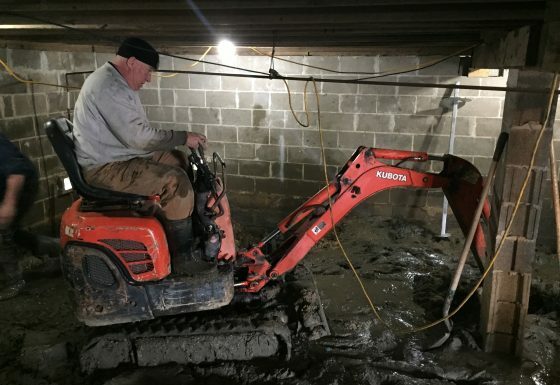 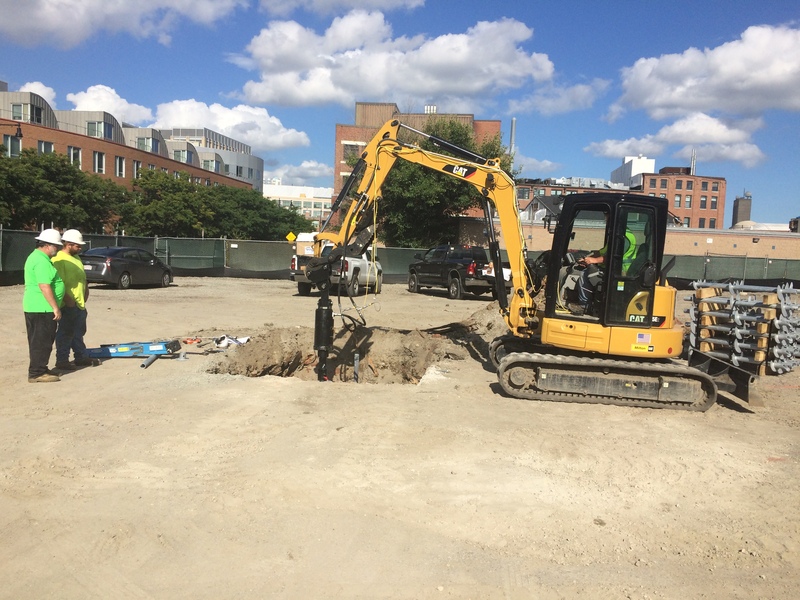 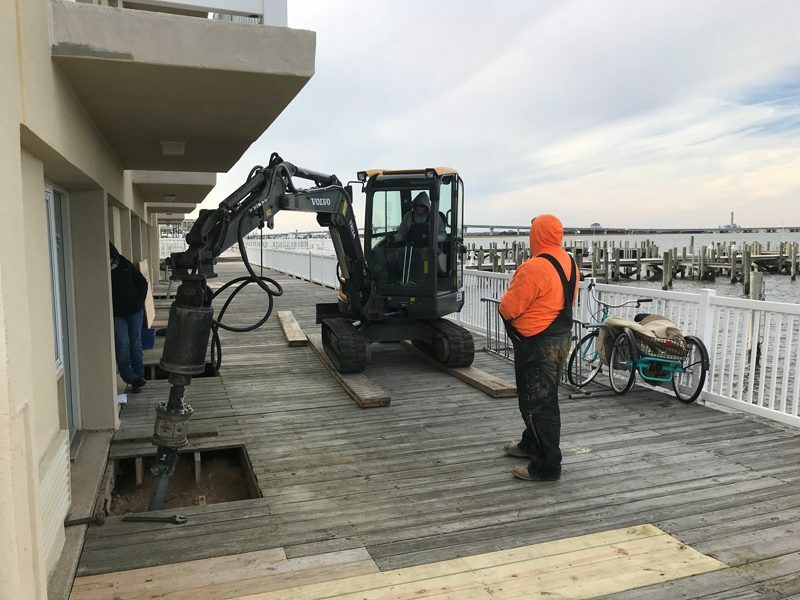 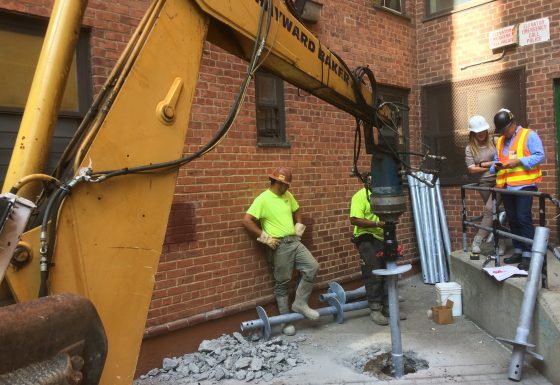 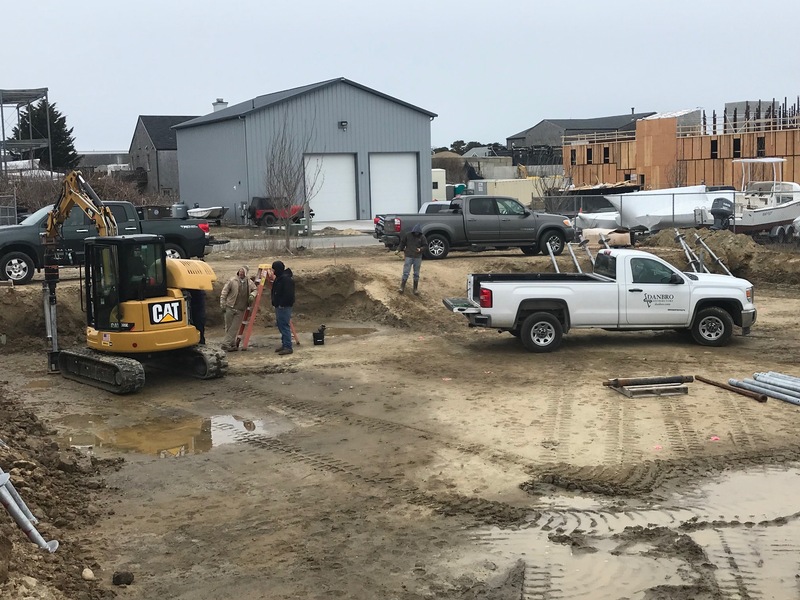 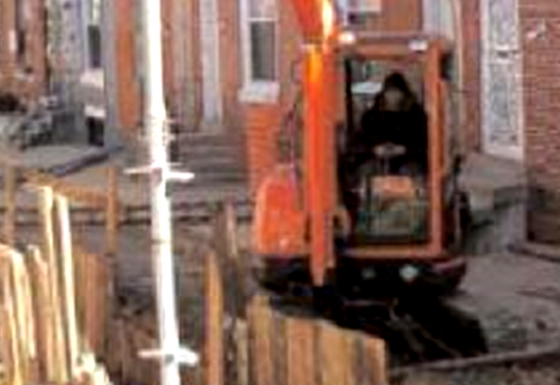 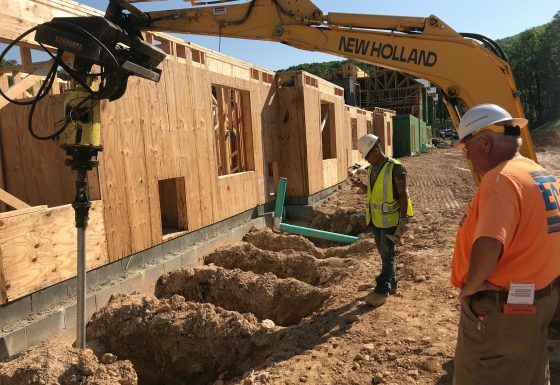 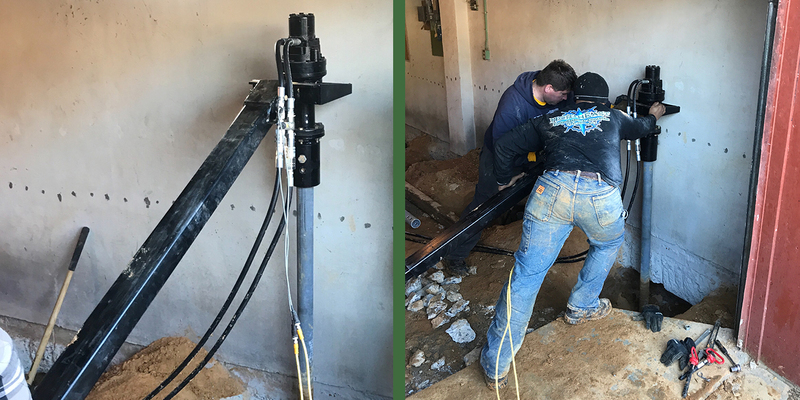 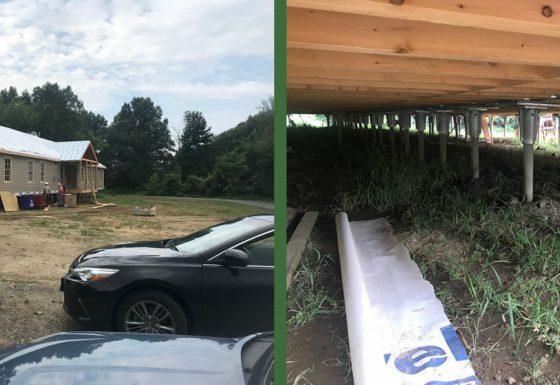 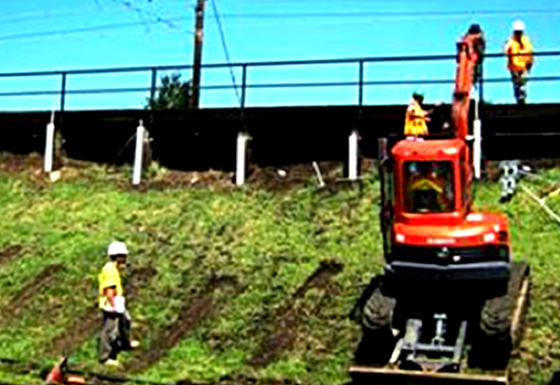 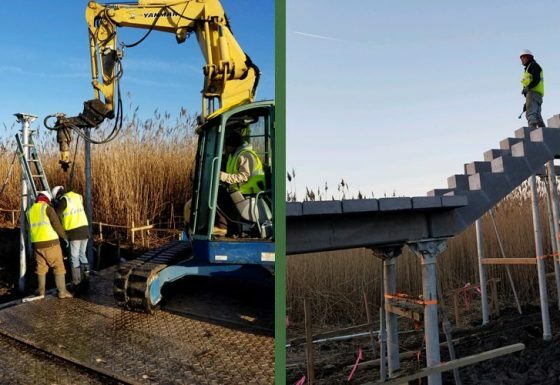 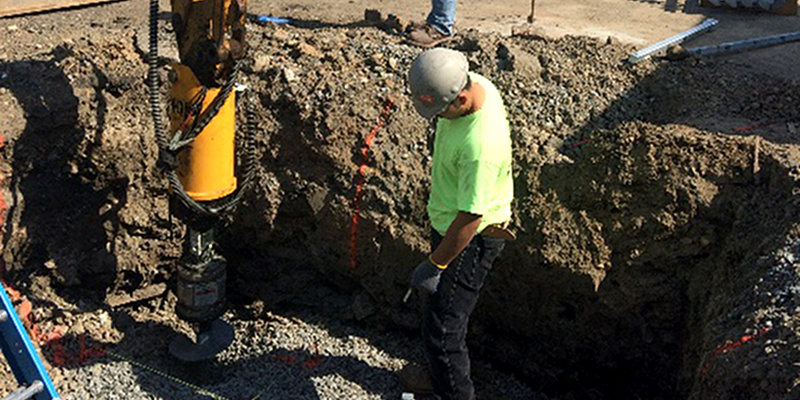 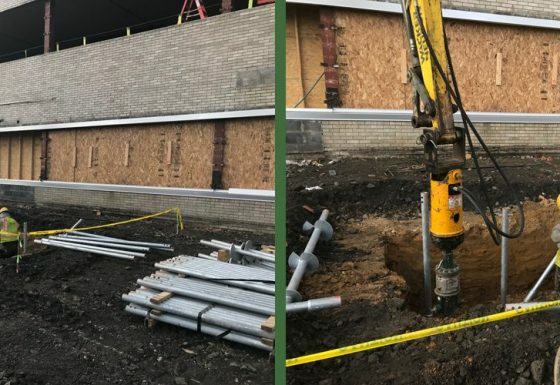 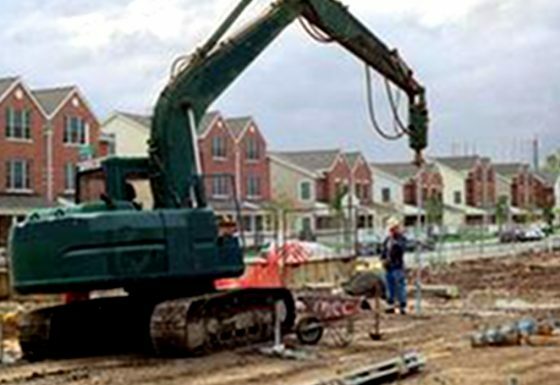 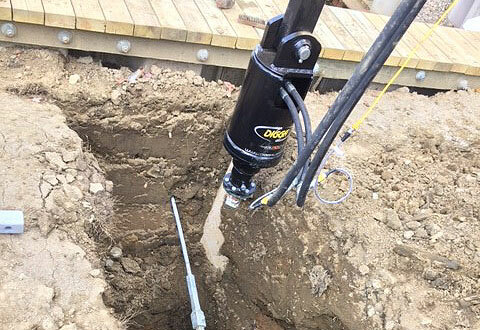 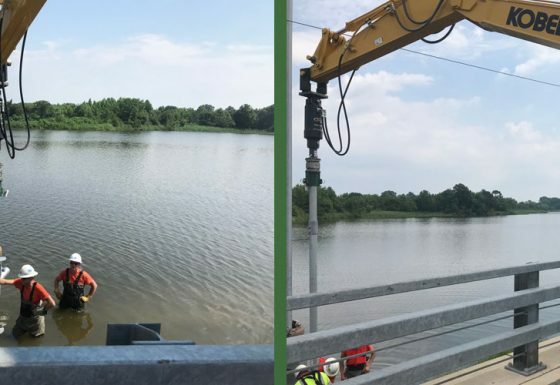 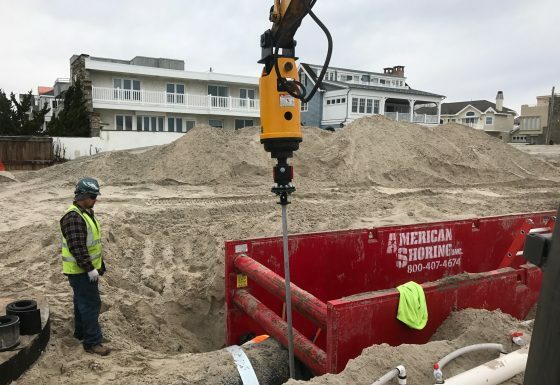 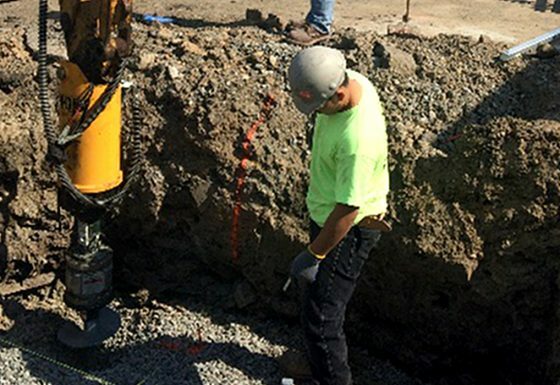 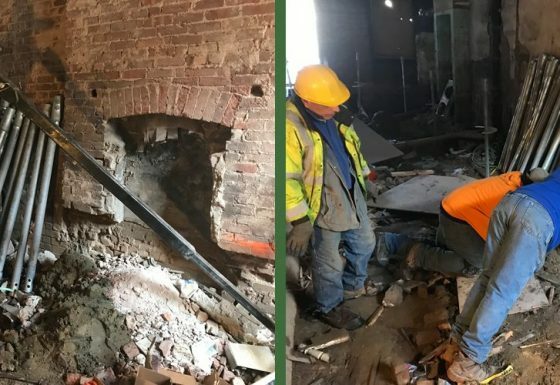 The test pile was a pipe lead and achieved torque at 37 feet, the square shaft lead to pipe achieved torque at 32 feet, this provided cost savings to the homeowner and installer by not installing an extra 120 linear feet of pile.